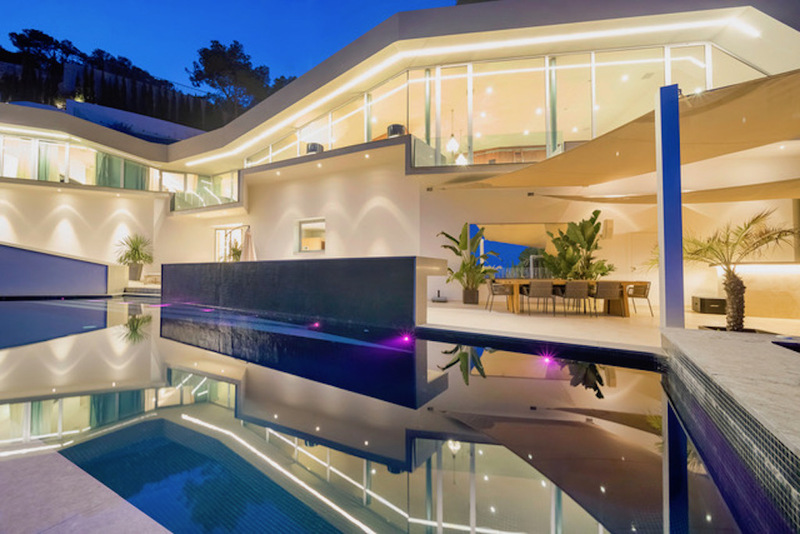 8 hours per day, inside and outside. 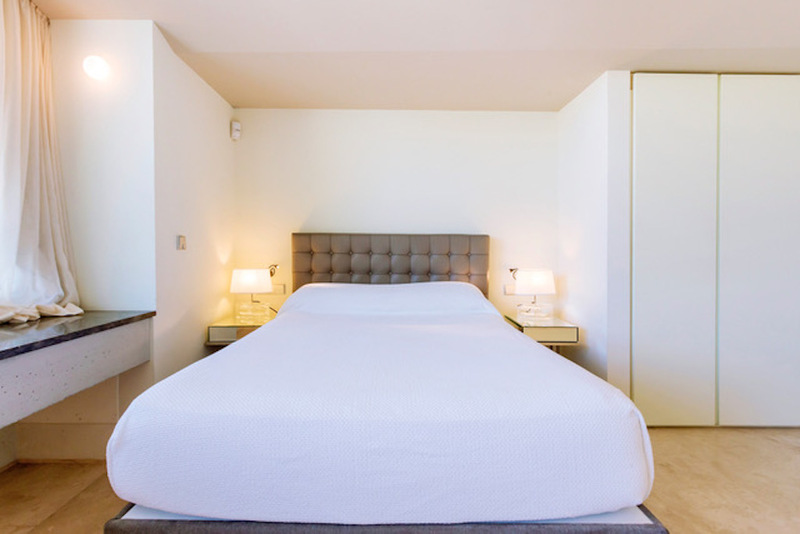 Staff include a Housekeeper and a Property Manager. 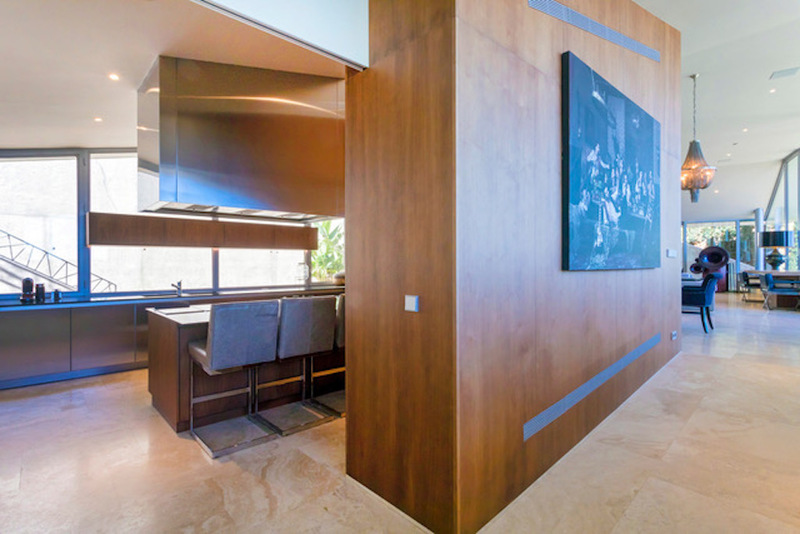 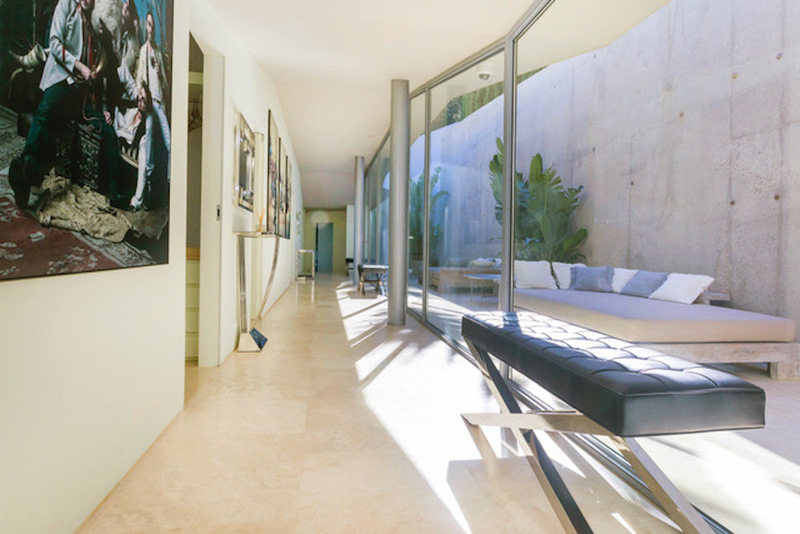 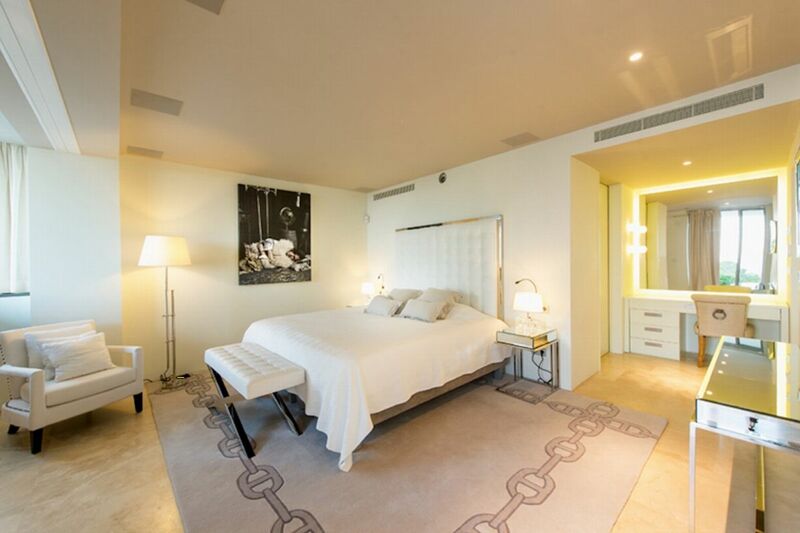 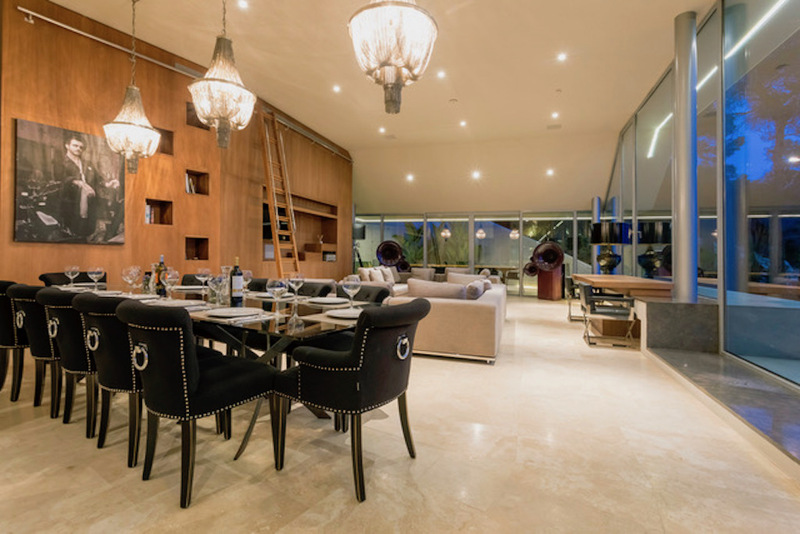 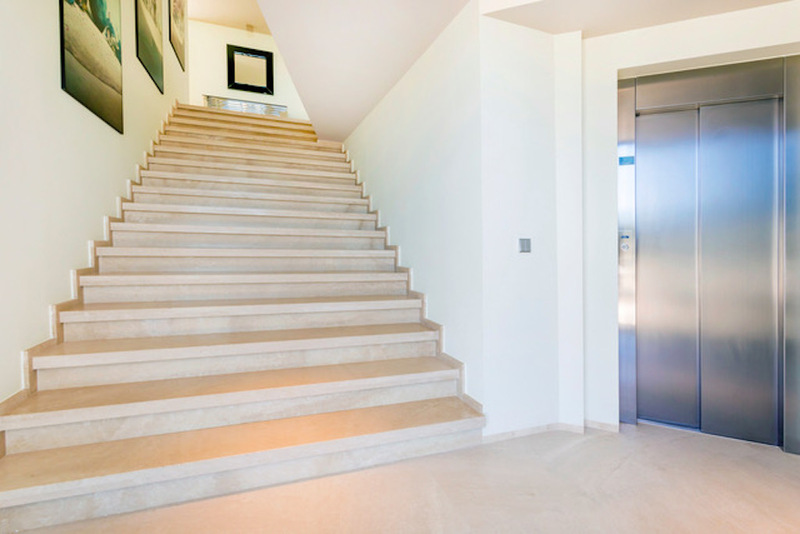 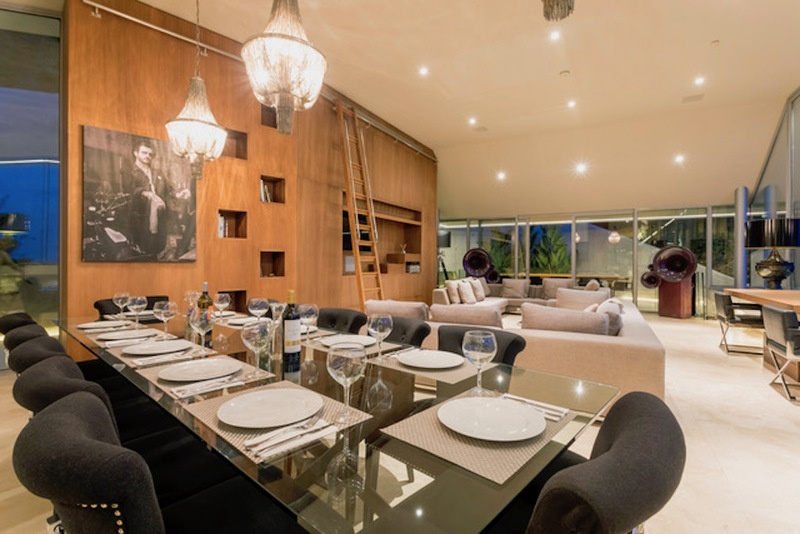 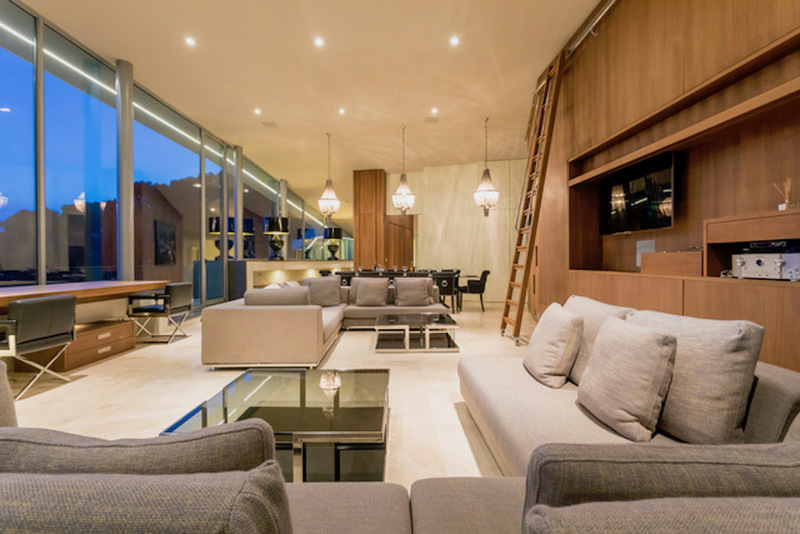 Spacious modern property with high end finishes located inside Roca LlisaÂ´s gated community. 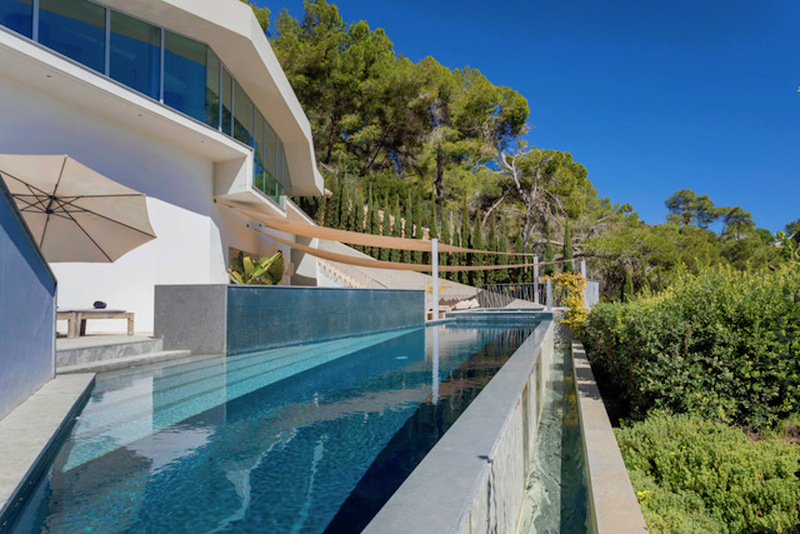 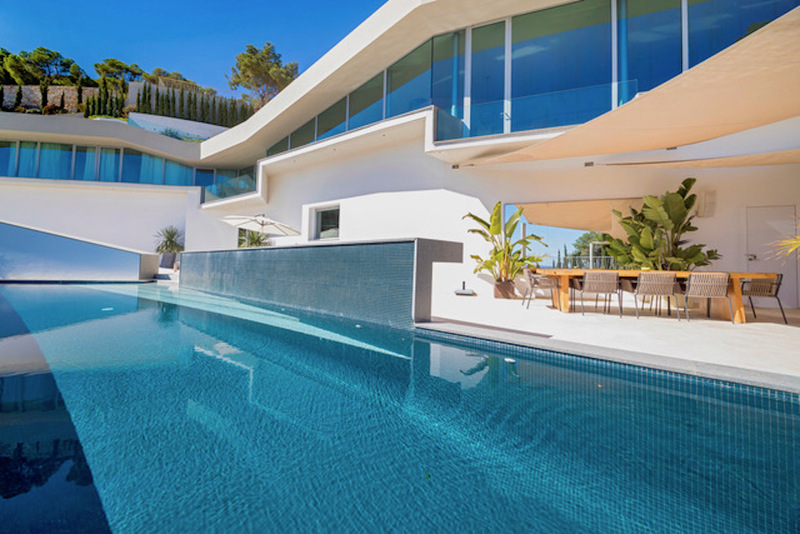 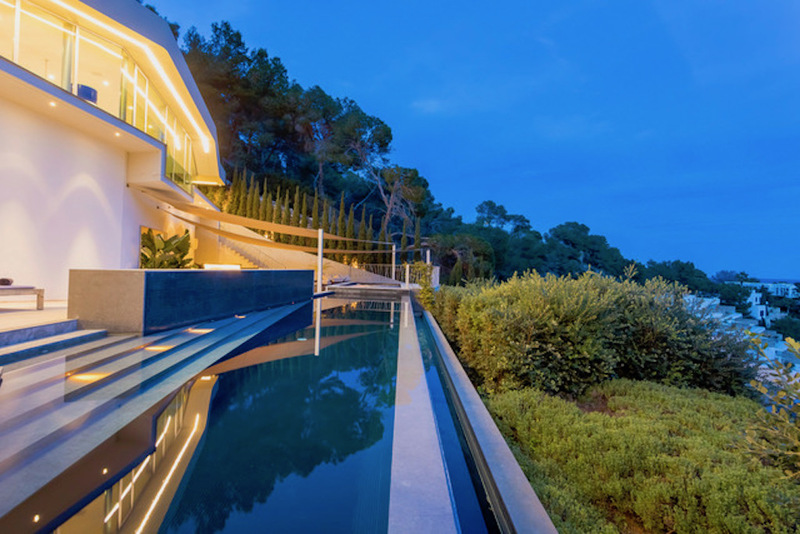 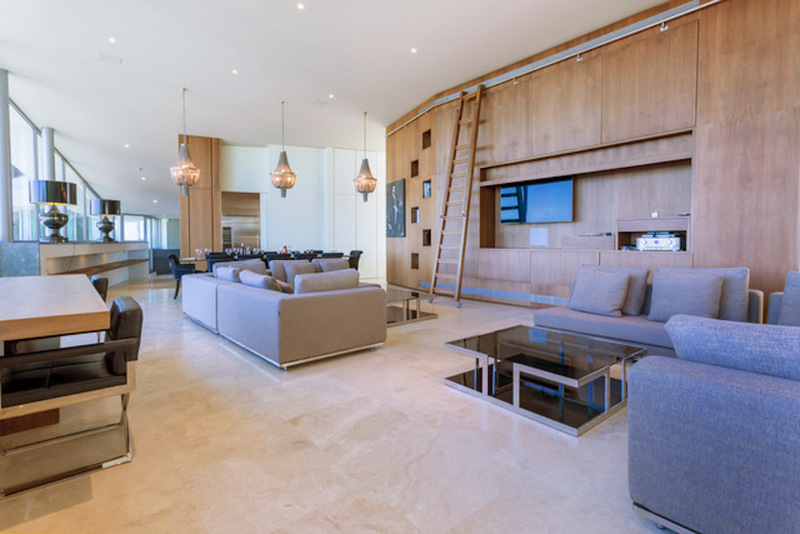 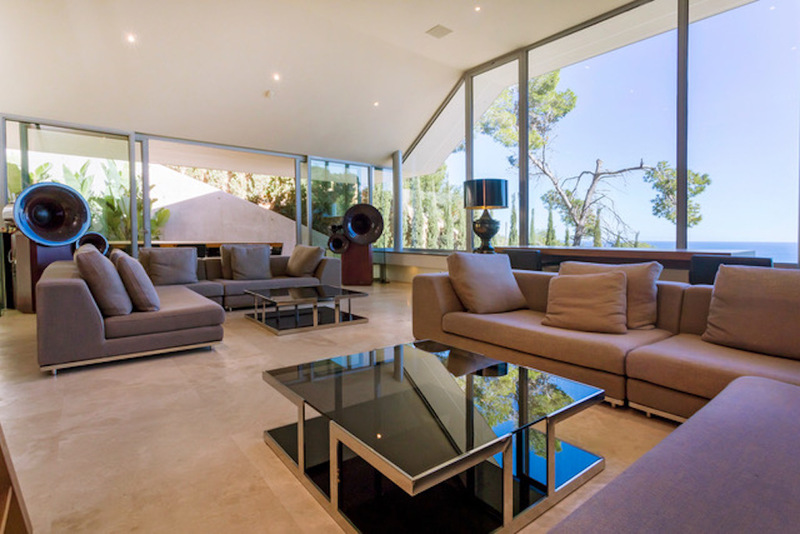 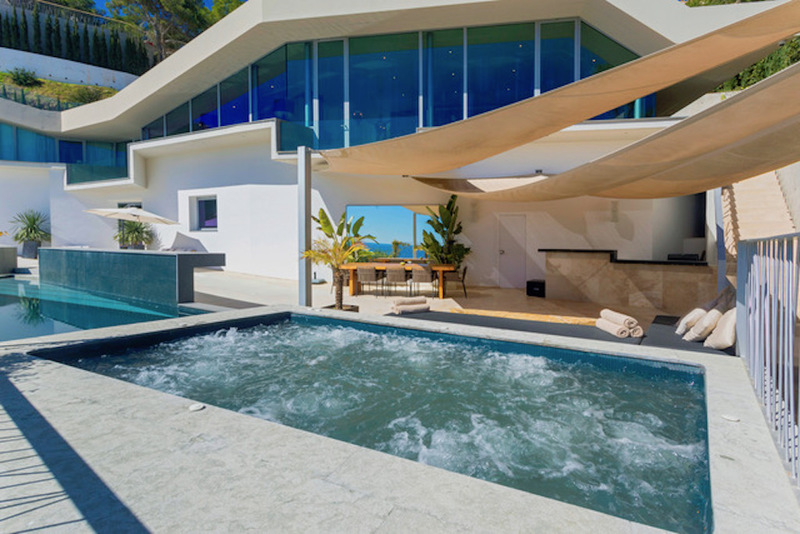 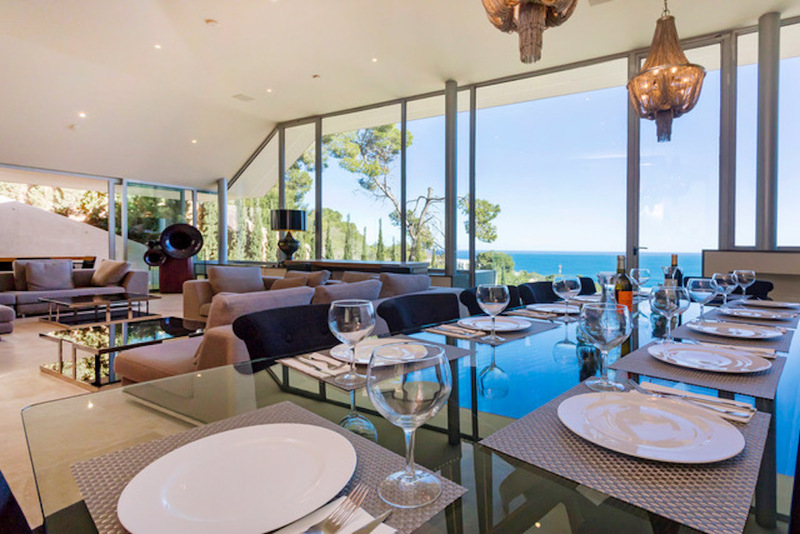 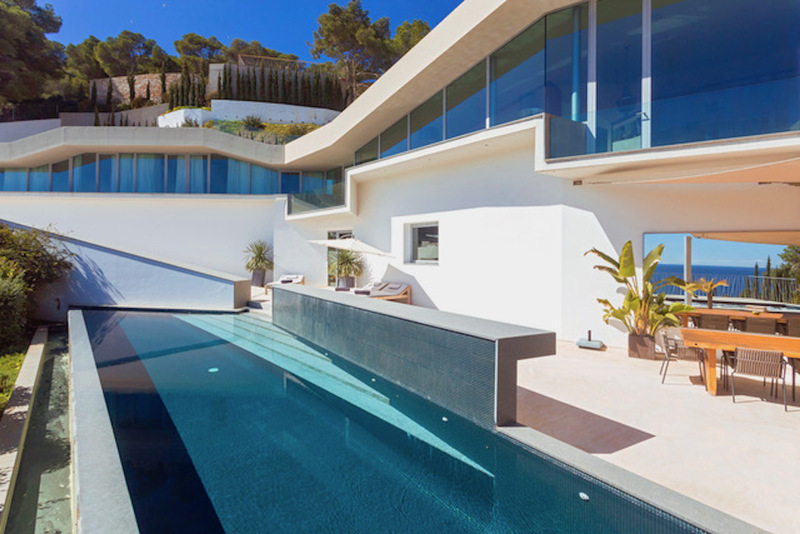 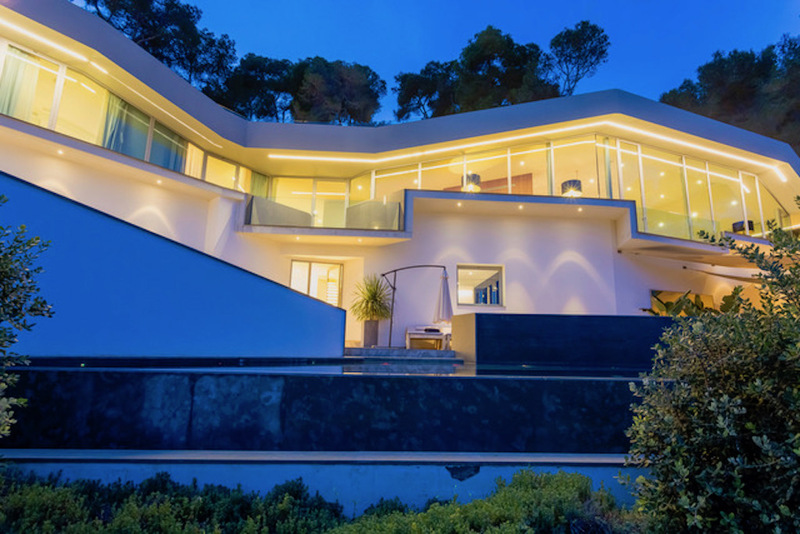 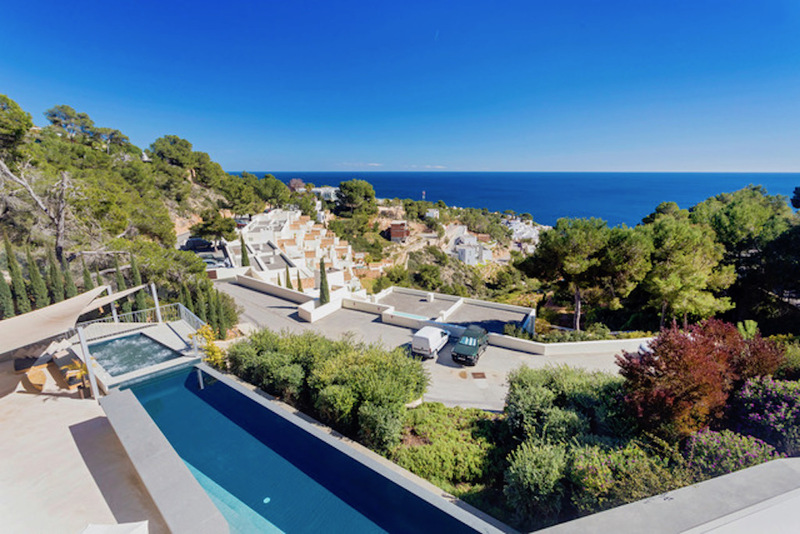 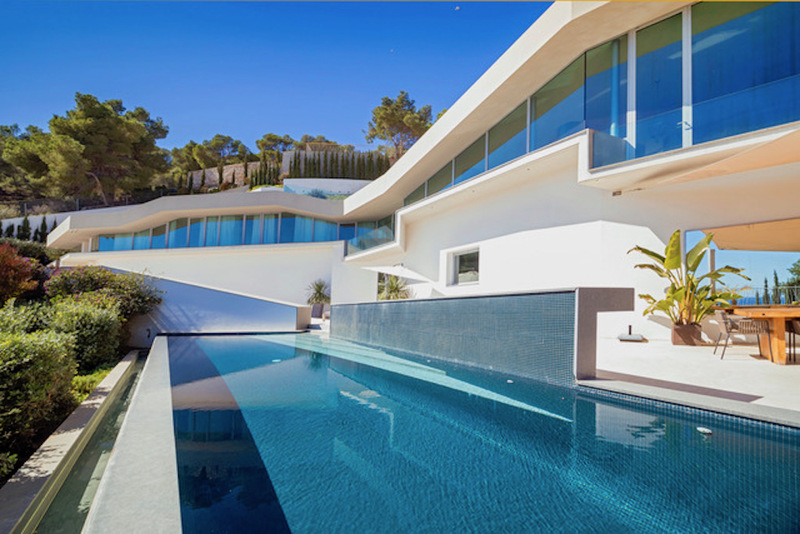 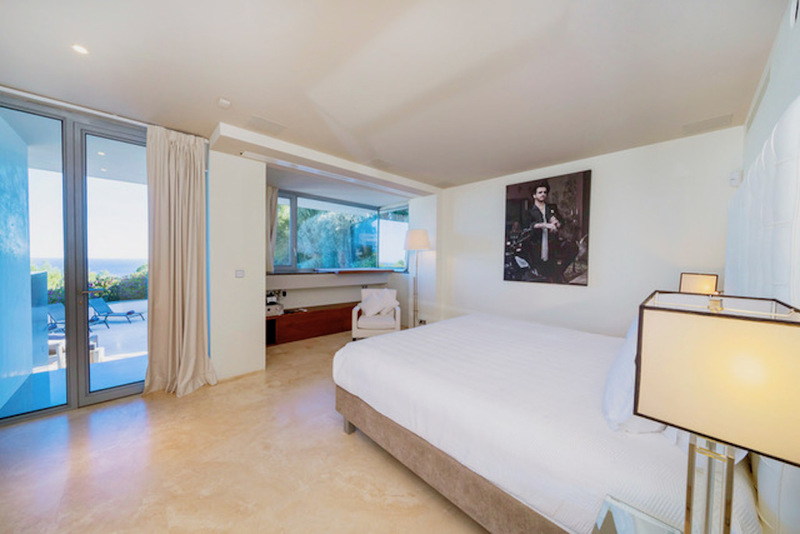 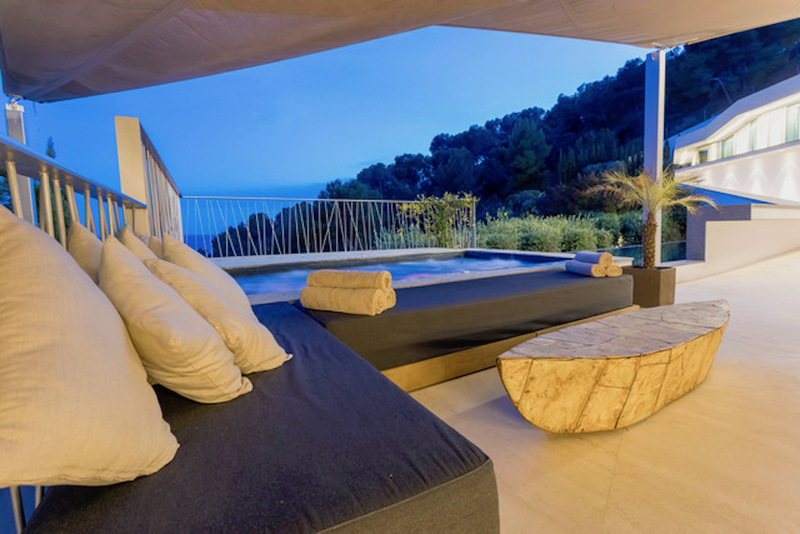 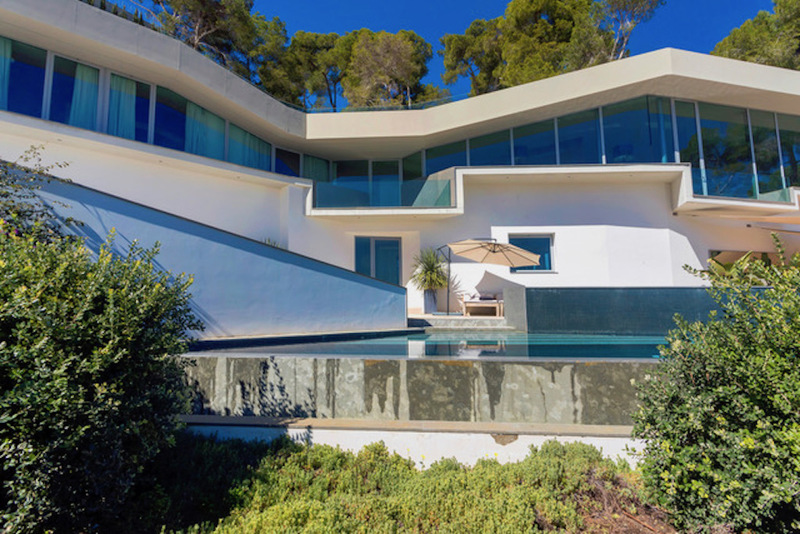 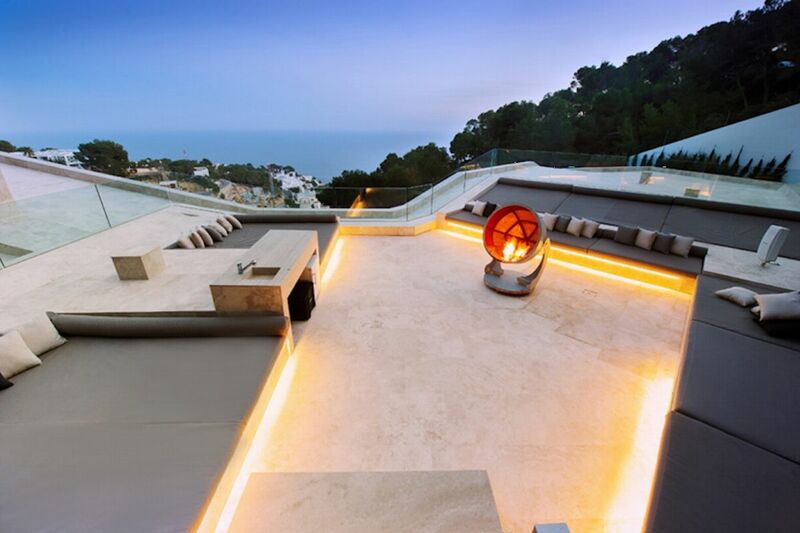 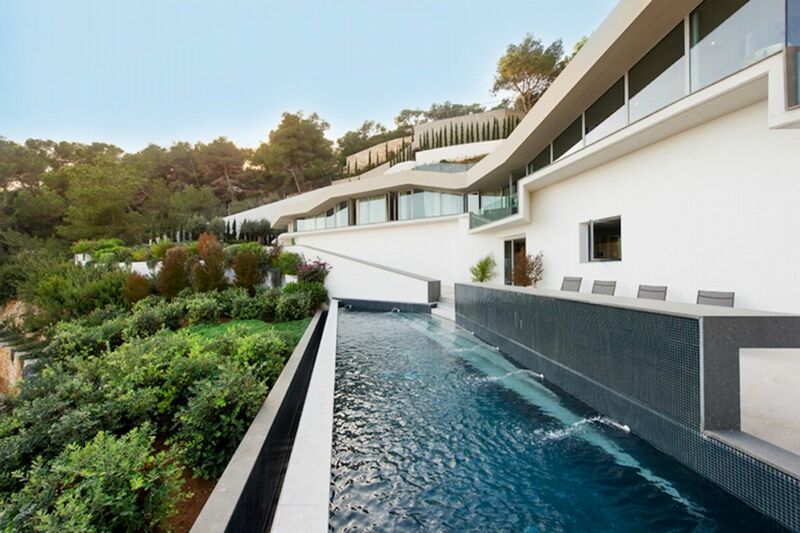 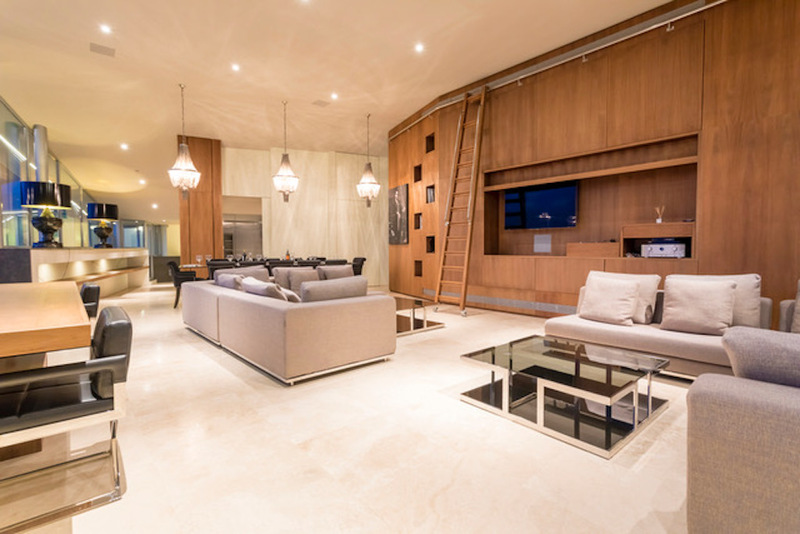 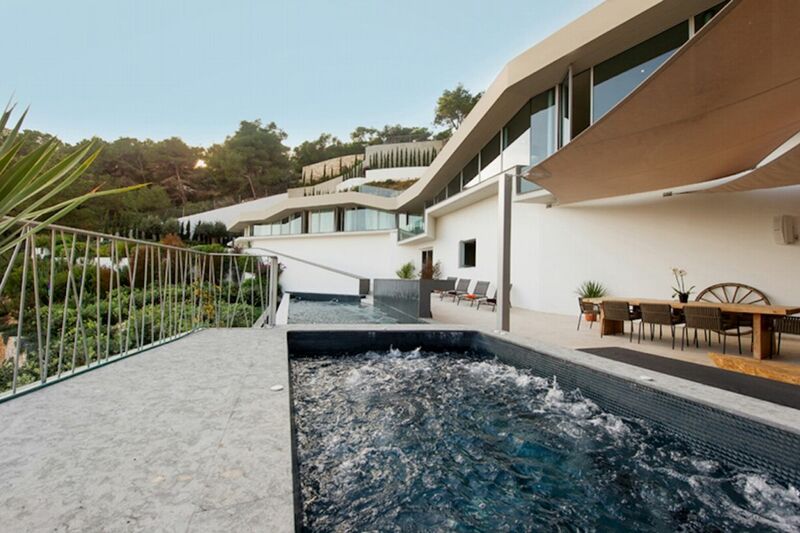 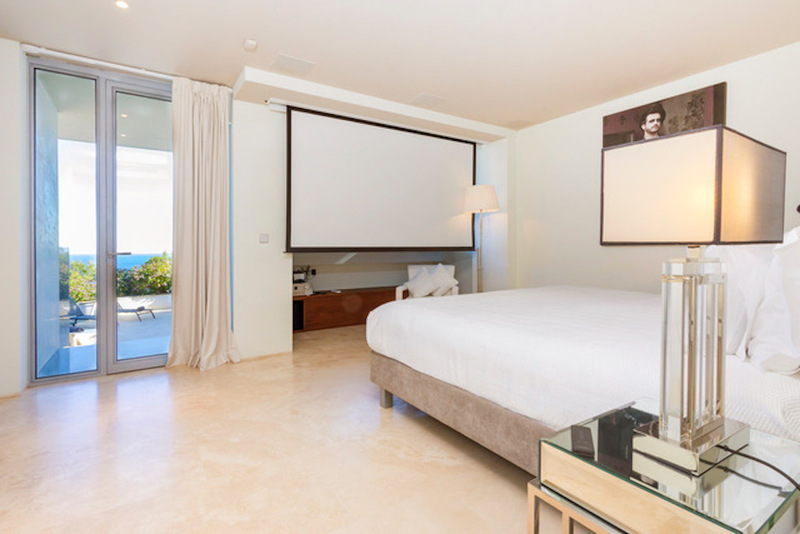 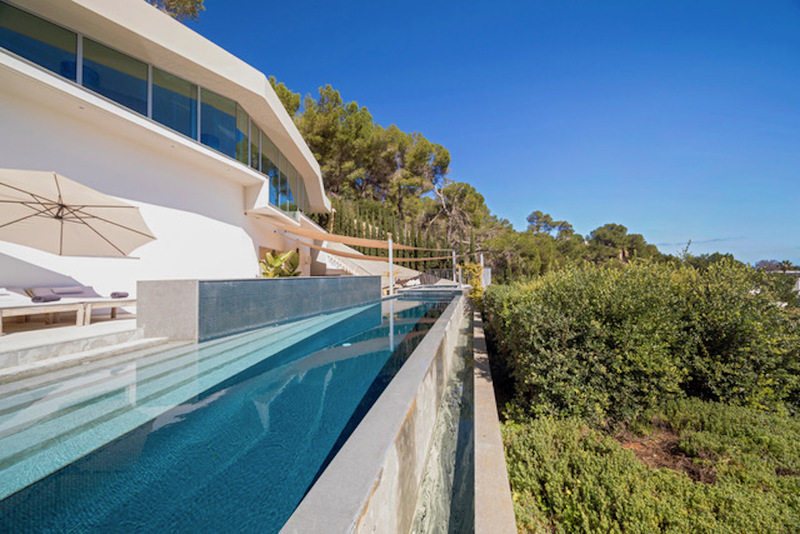 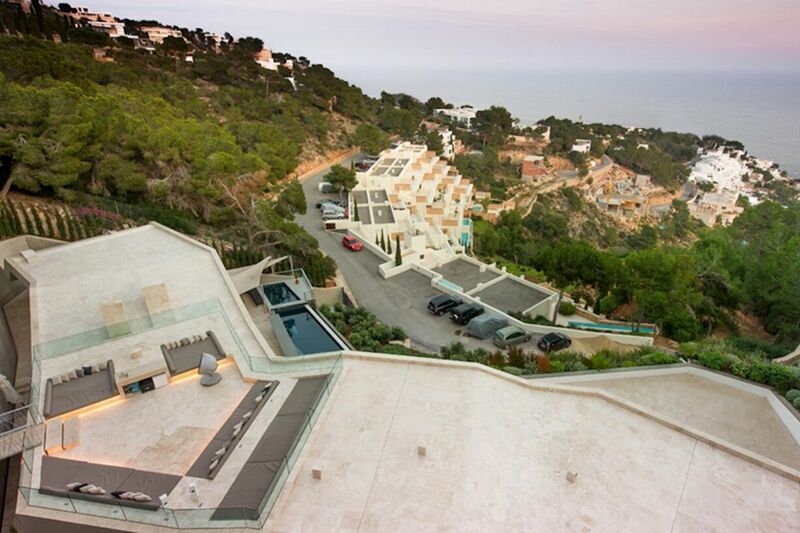 Located just a few kilometres from the centre of Ibiza, the prestigious 6 bedroom villa sits high on the hillside of the exclusive Roca Llisa residential area. 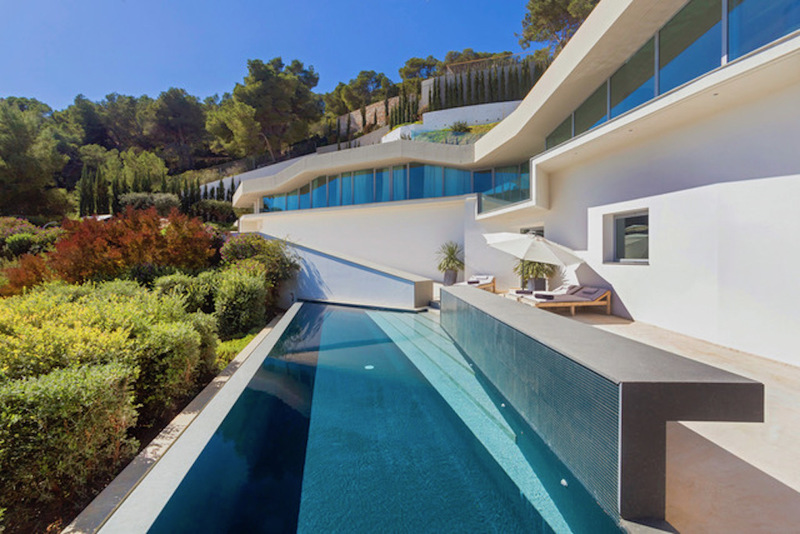 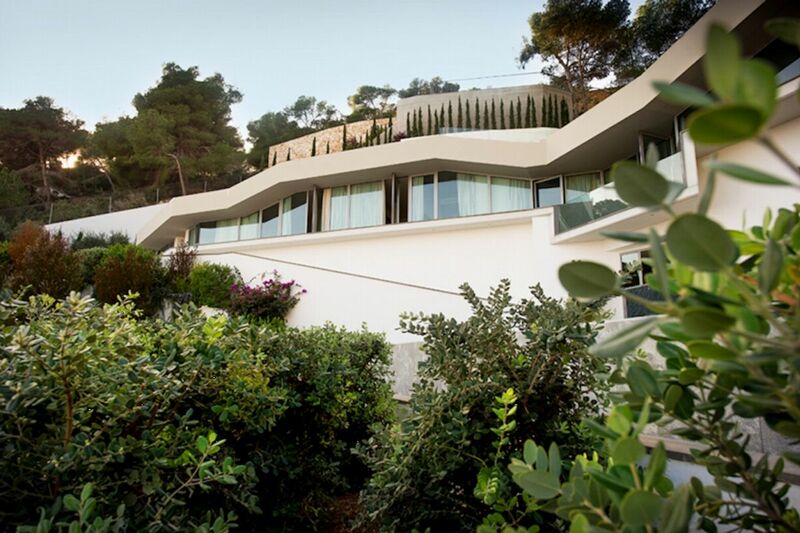 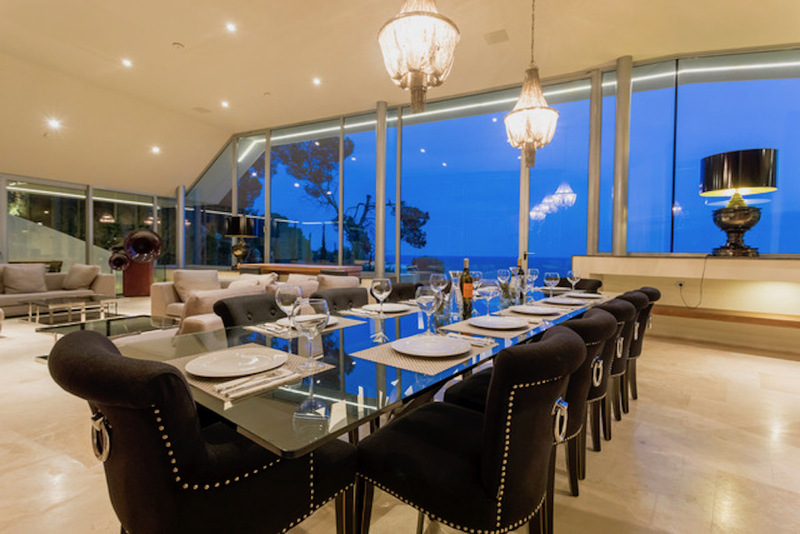 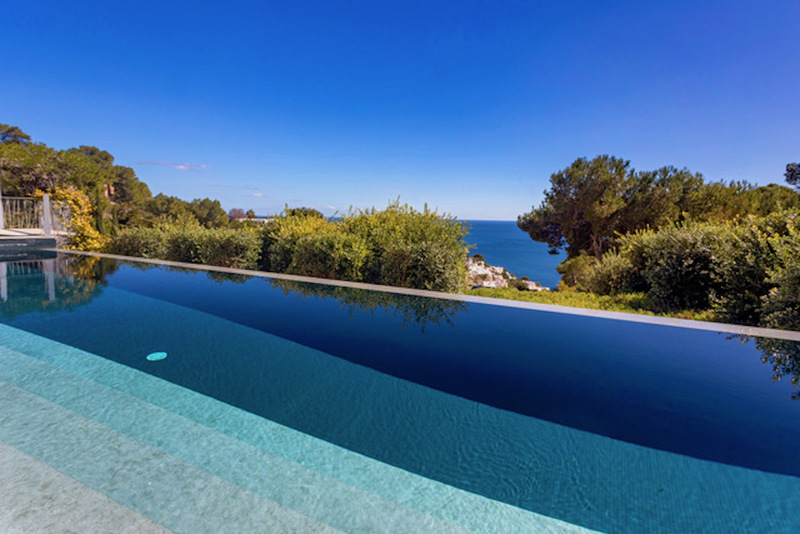 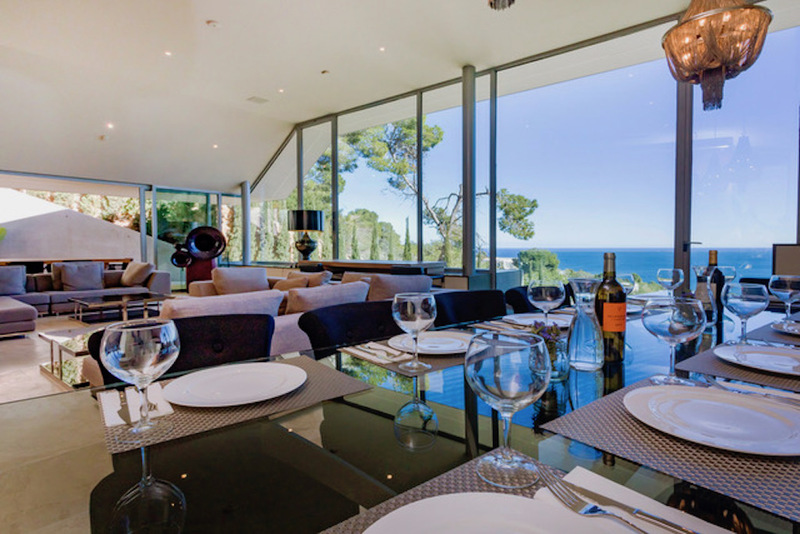 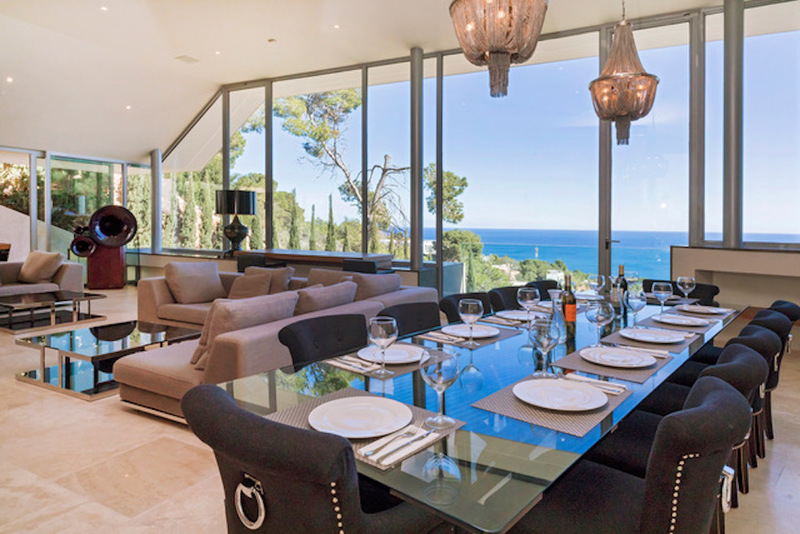 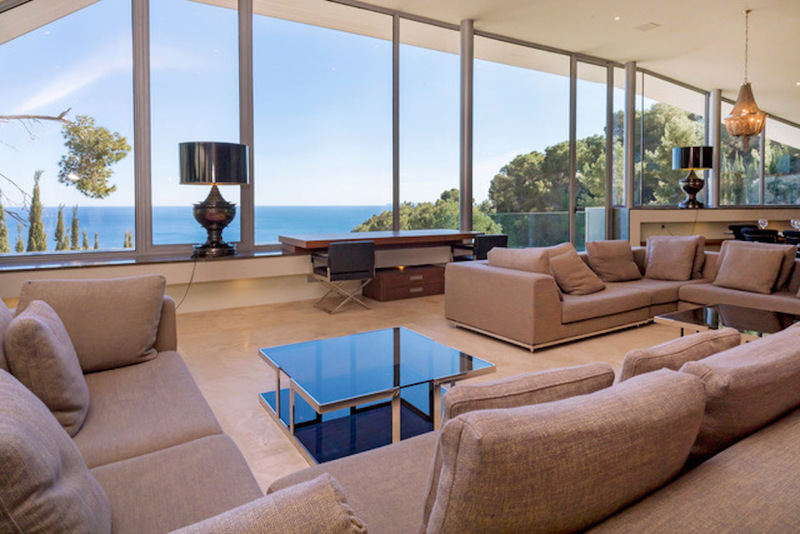 Designed by notorious architect Jordi CarreÃ±o, the villa is the perfect example of luxury that blends with the surrounding countryside and stunning views of the Mediterranean Sea. 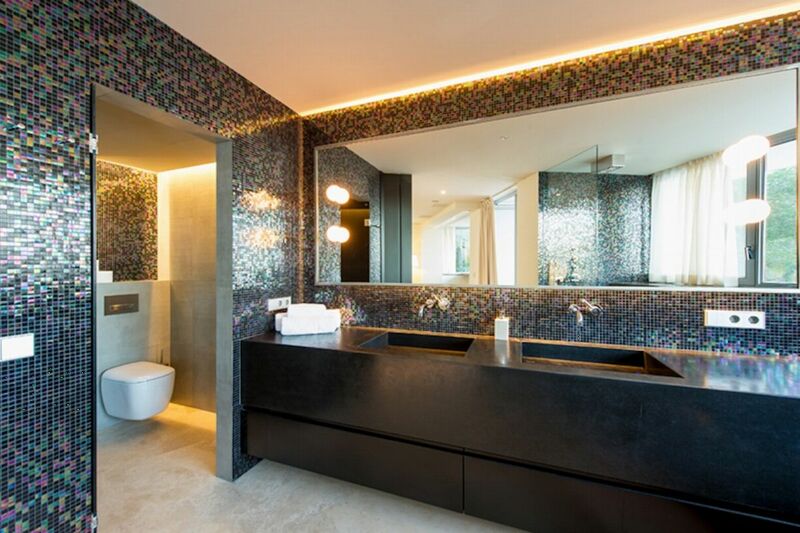 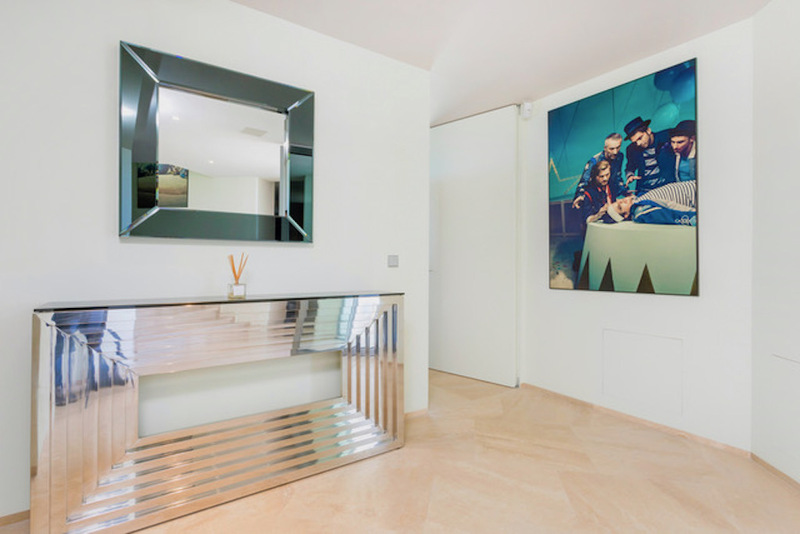 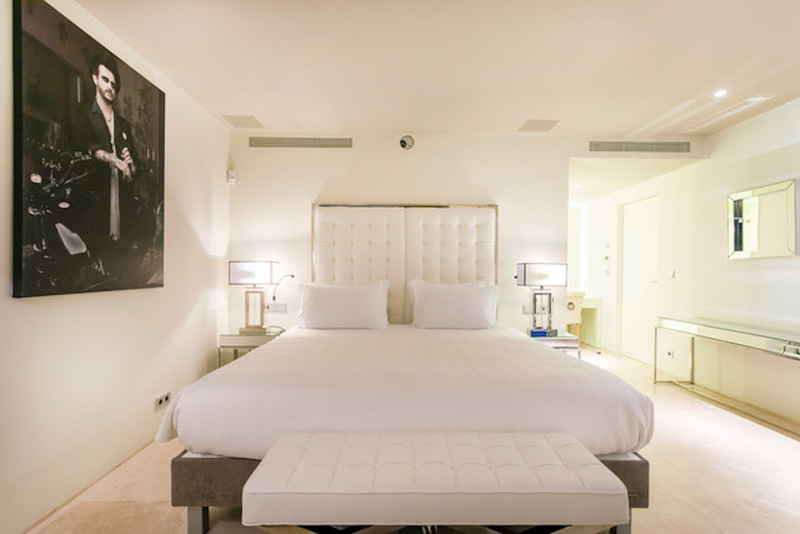 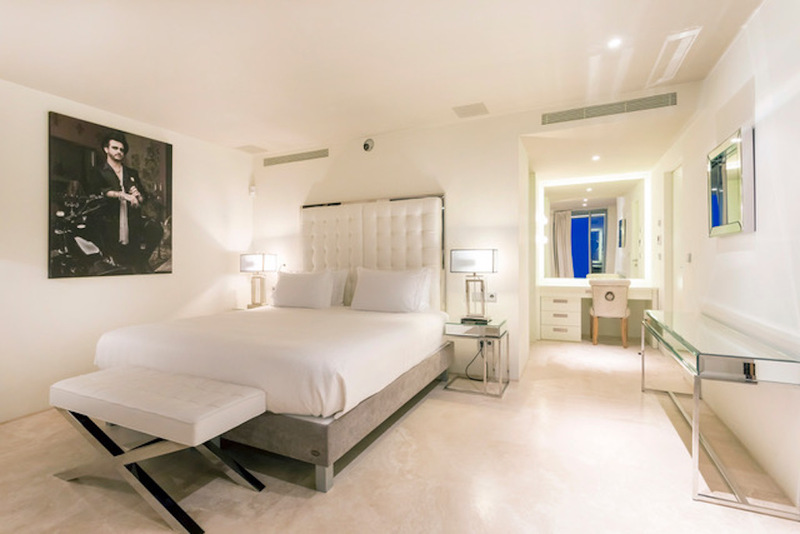 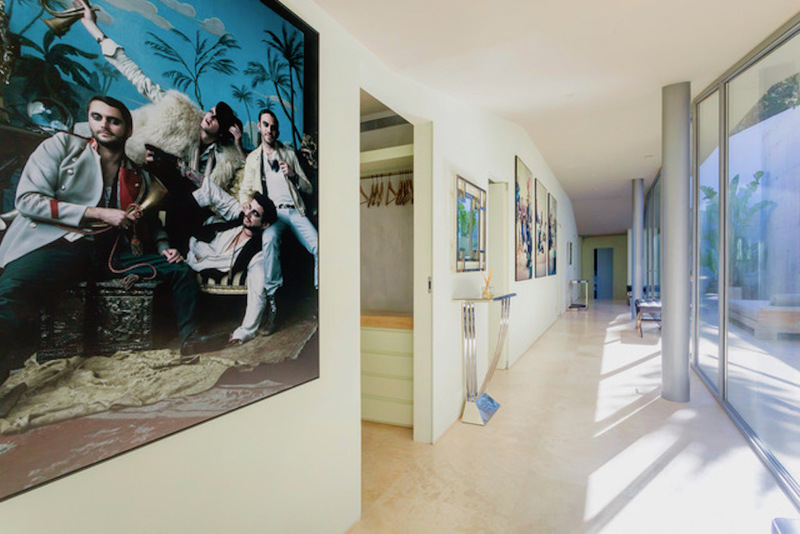 The villaâ€™s interiors created by Paul Davies London have a sophisticated blend of classic and contemporary lines styled with artwork of exquisite taste by the celebrated French photographer Bettina Rheims and the French Irish artists Nick & Chloe. 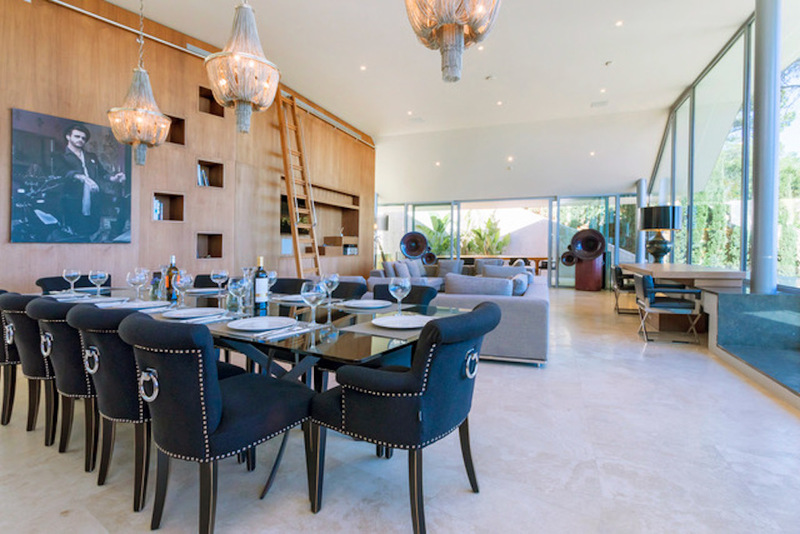 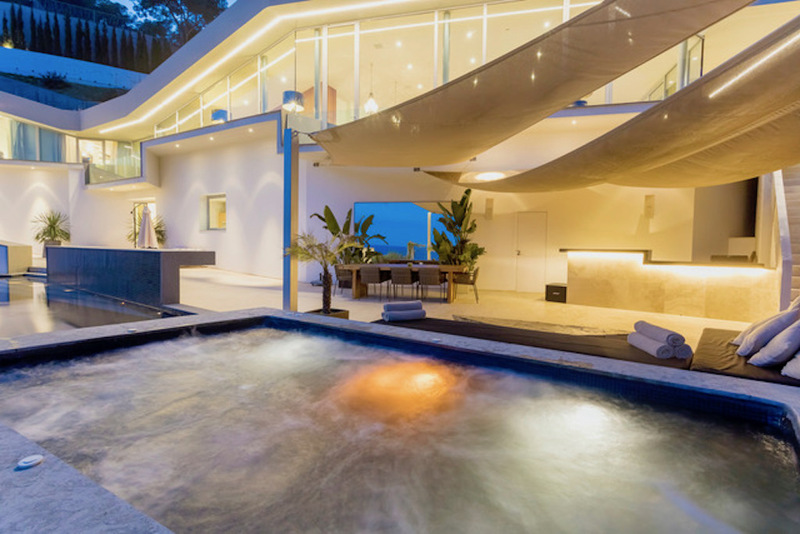 This villa is perfectly suited for relaxing, entertaining and more... 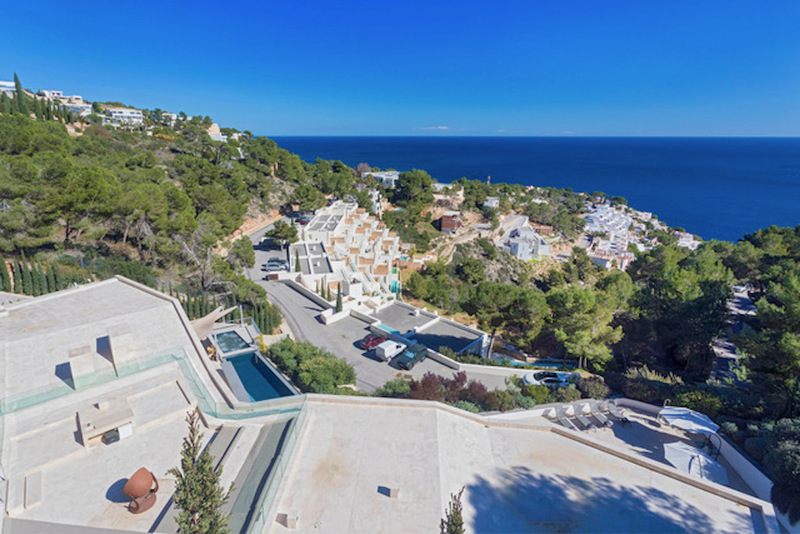 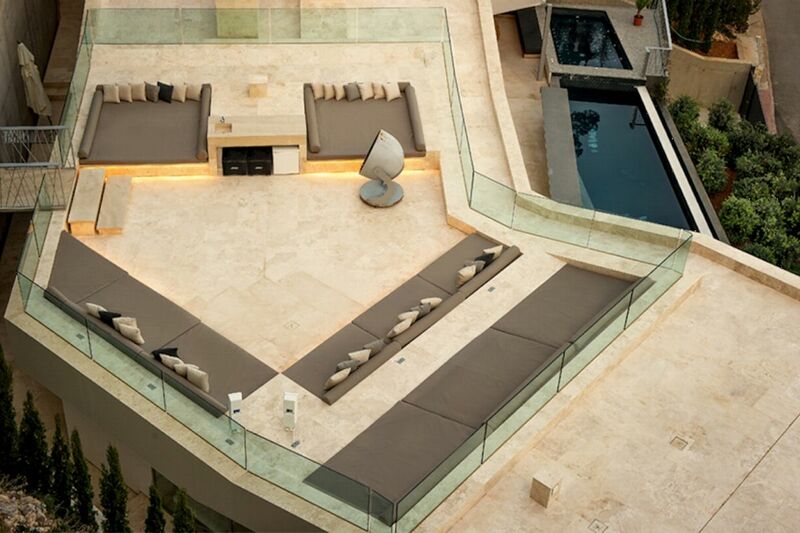 OUTDOOR AREAS Outside, you can relax in the fabulous chill-out area on the roof terrace or sunbathe around the large infinity pool whilst enjoying the fantastic sea views. 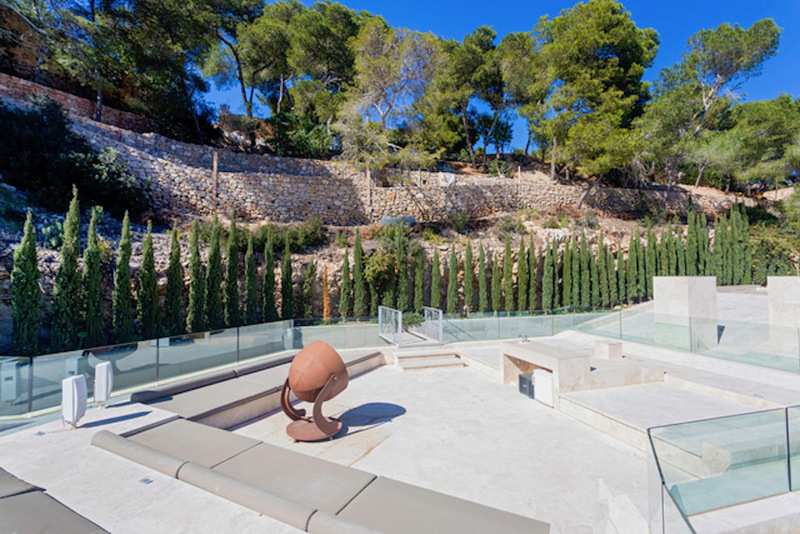 There is a beautifully maintained Mediterranean garden, BBQ, hot tub and 3 wonderful terraces overlooking the clear Balearic Sea. 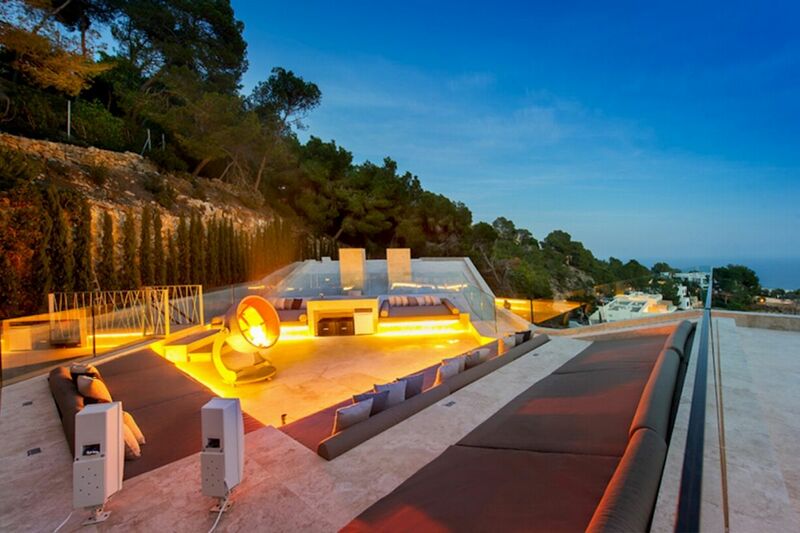 There is a lighting system for all the external areas including the swimming pool and a Bose sound system on the terraces. 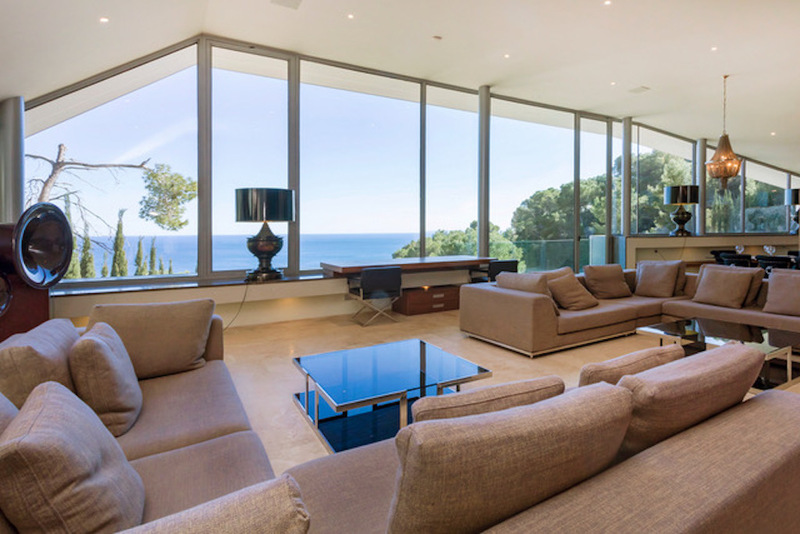 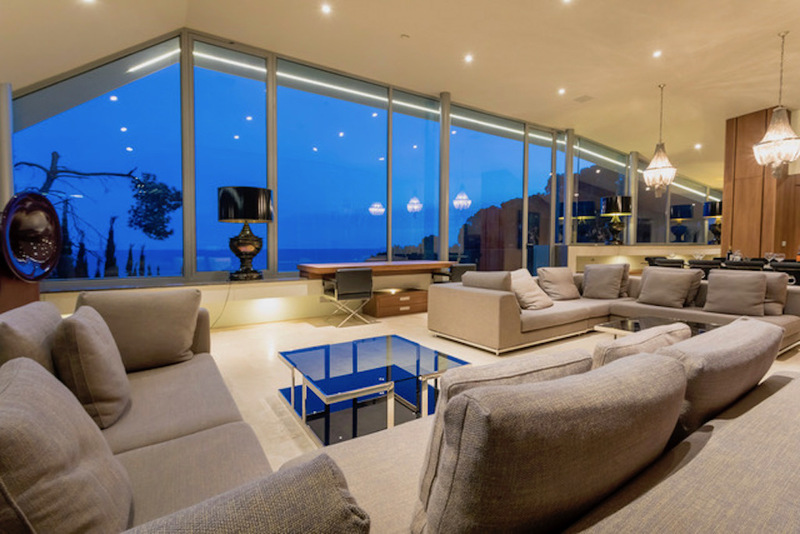 LIVING AREAS The main living area is spacious, bright and open plan with high ceilings and an impressive glass bay window overlooking the sea on one side. 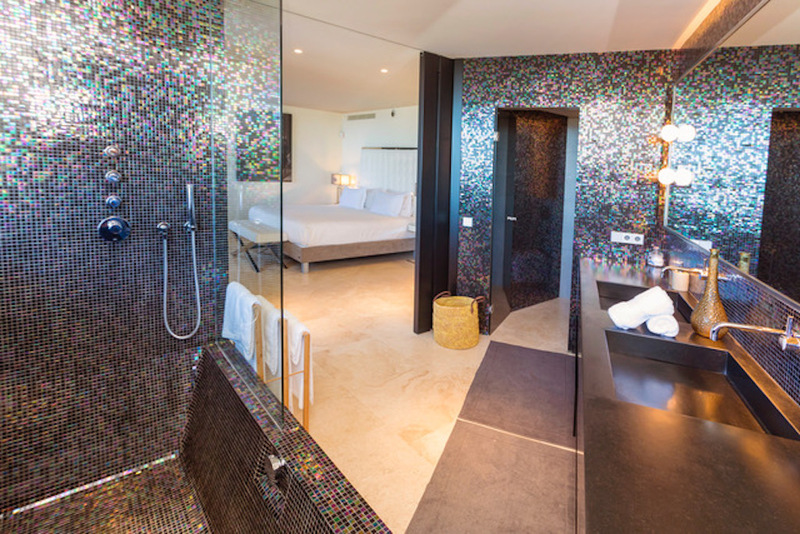 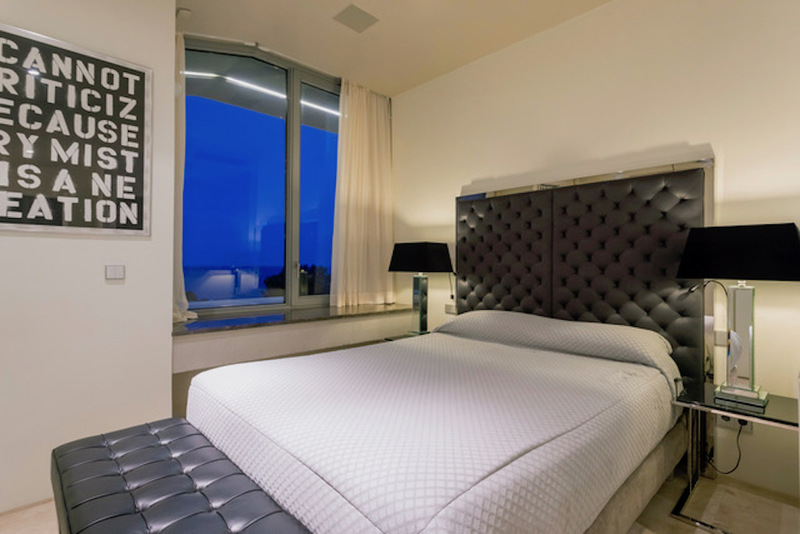 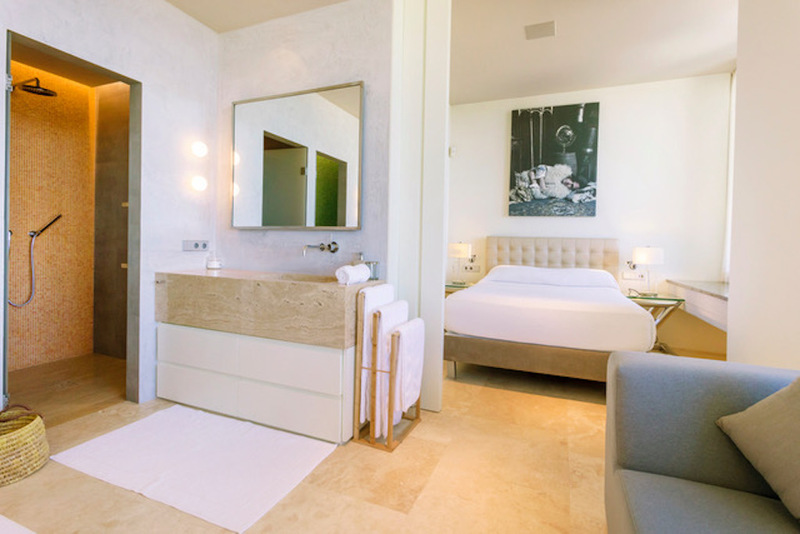 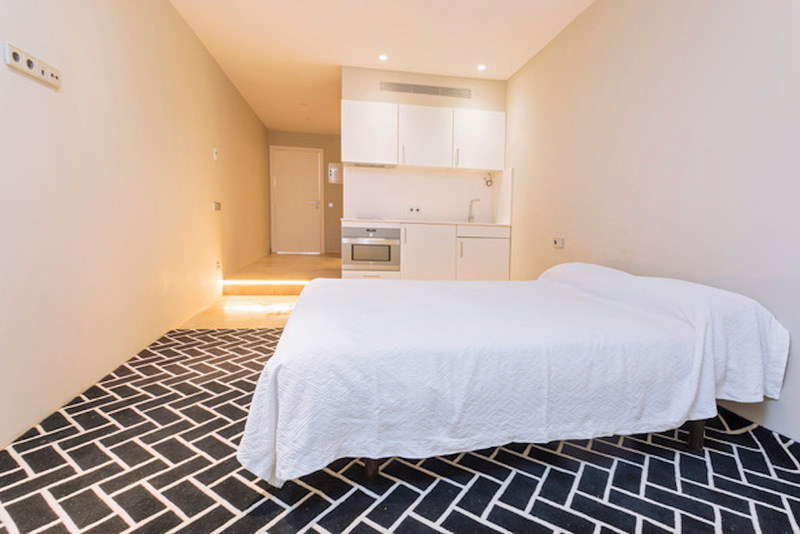 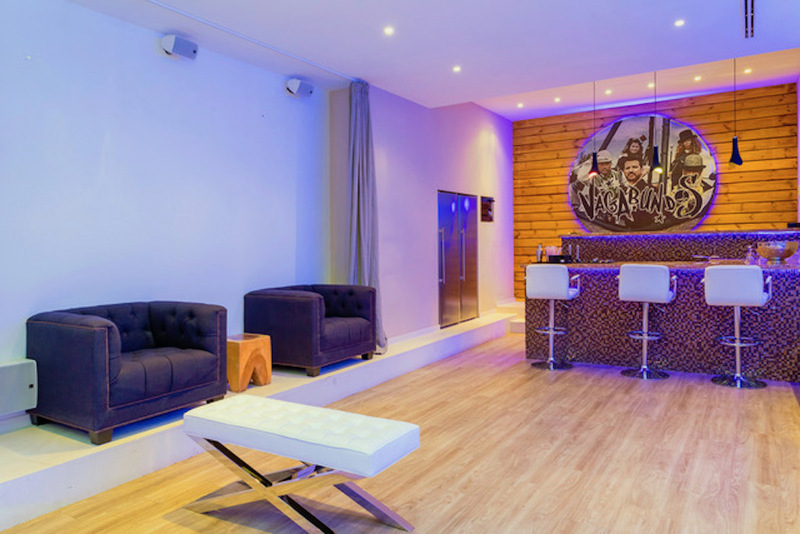 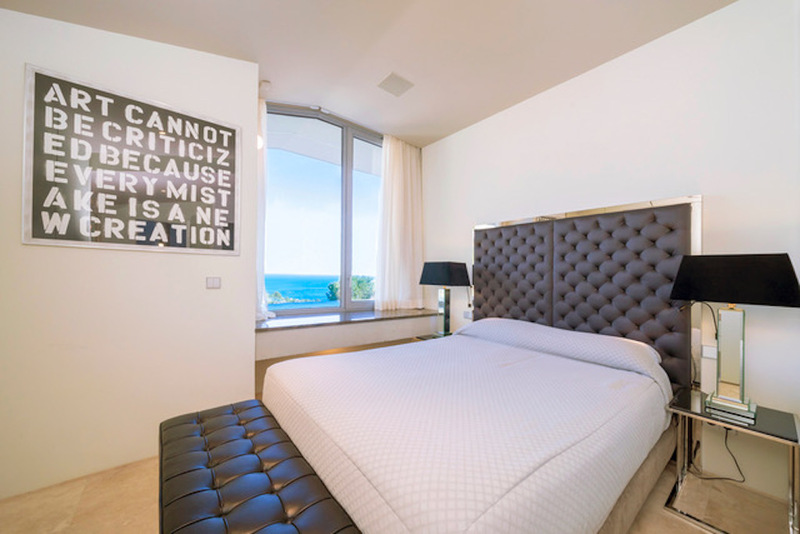 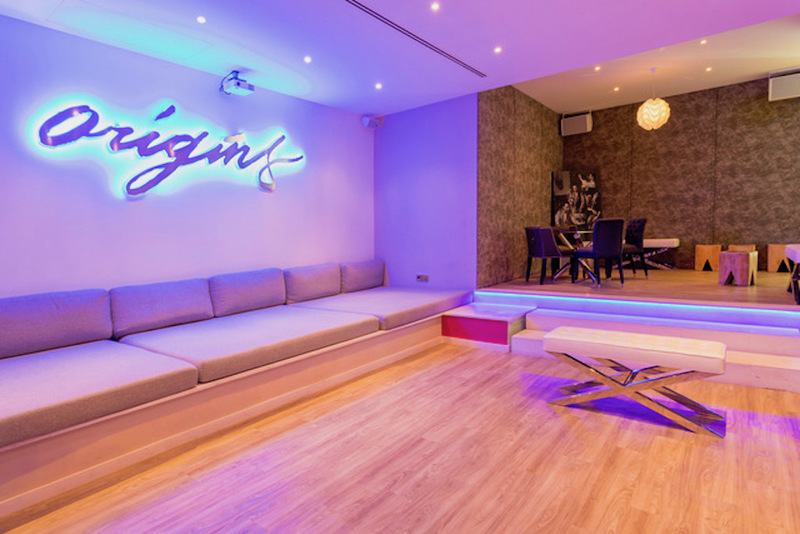 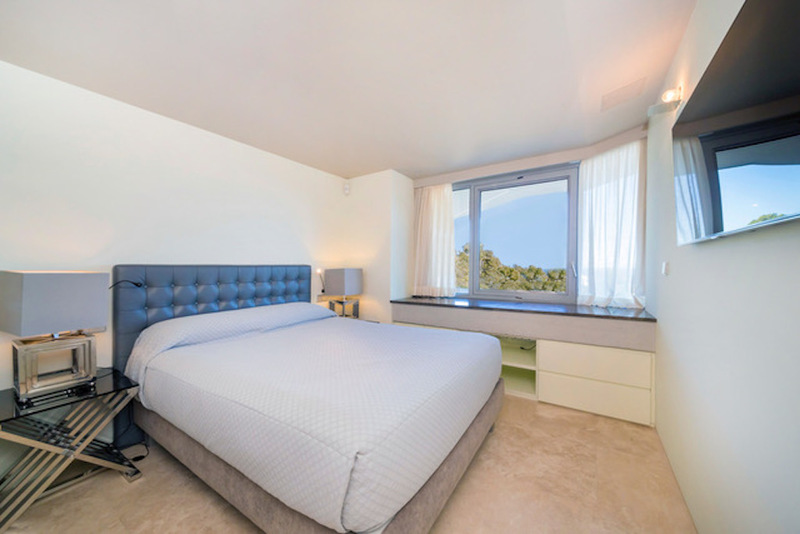 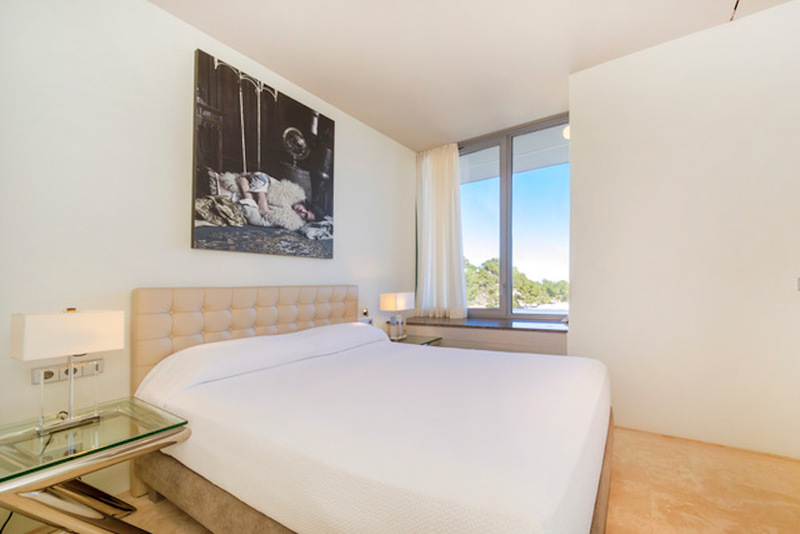 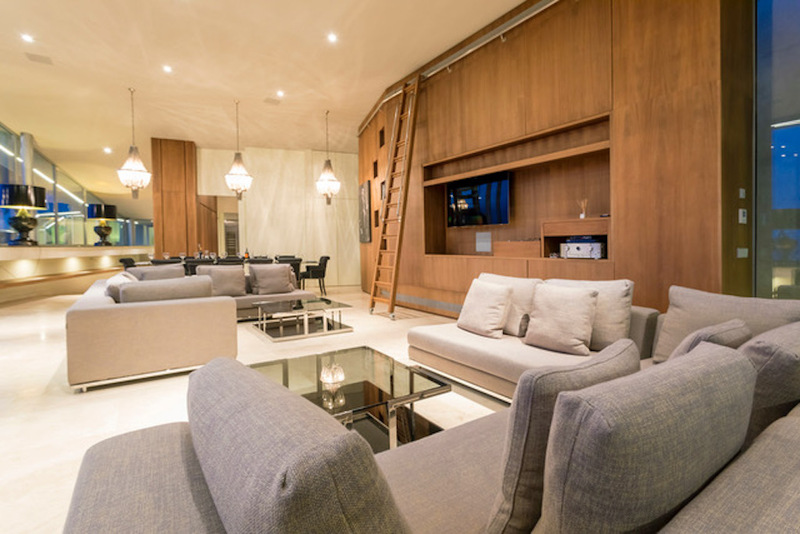 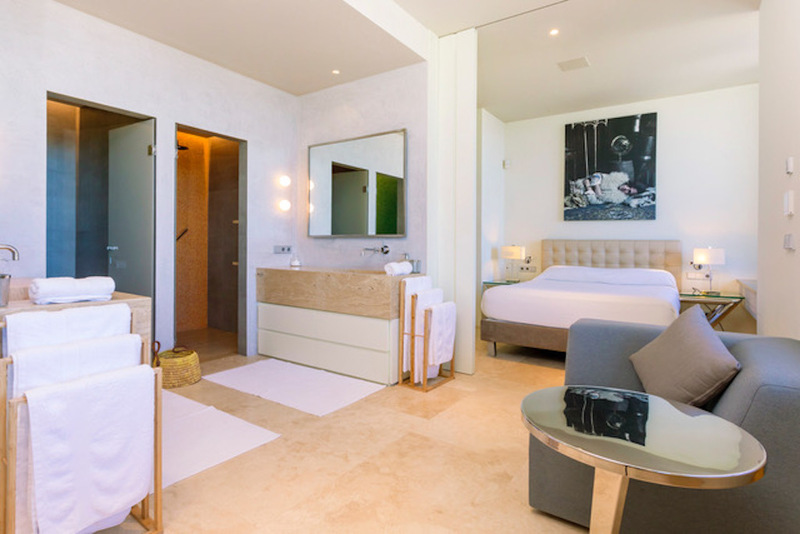 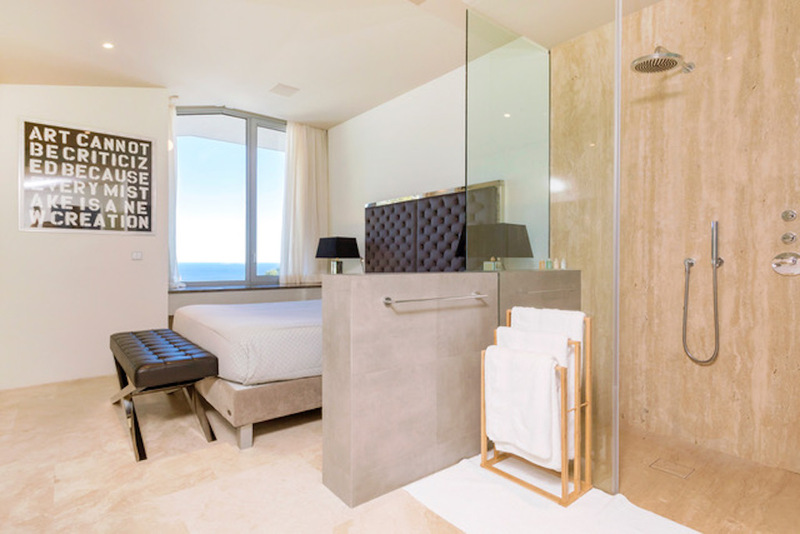 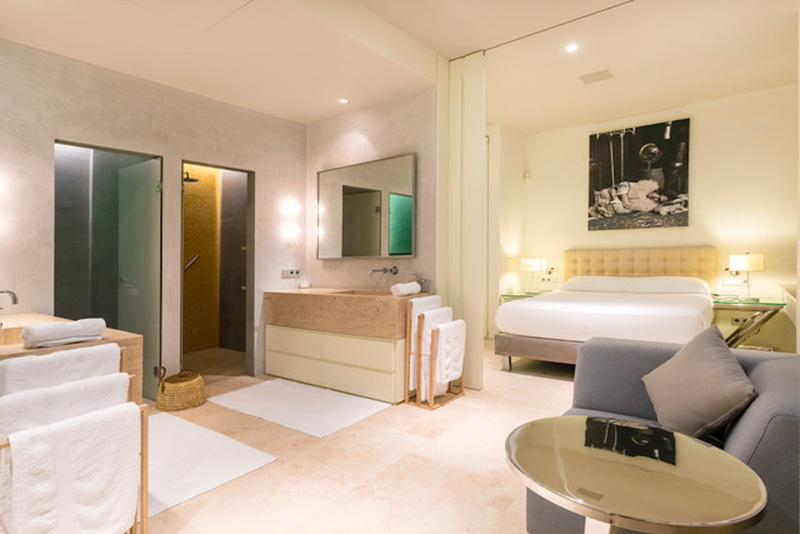 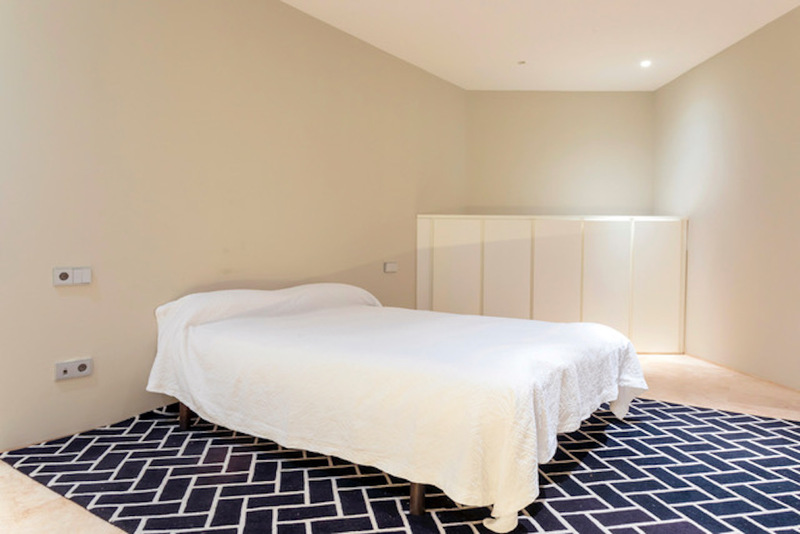 The property is equipped with underï¬‚oor heating, air conditioning, an alarm security system and a high speed internet connection. 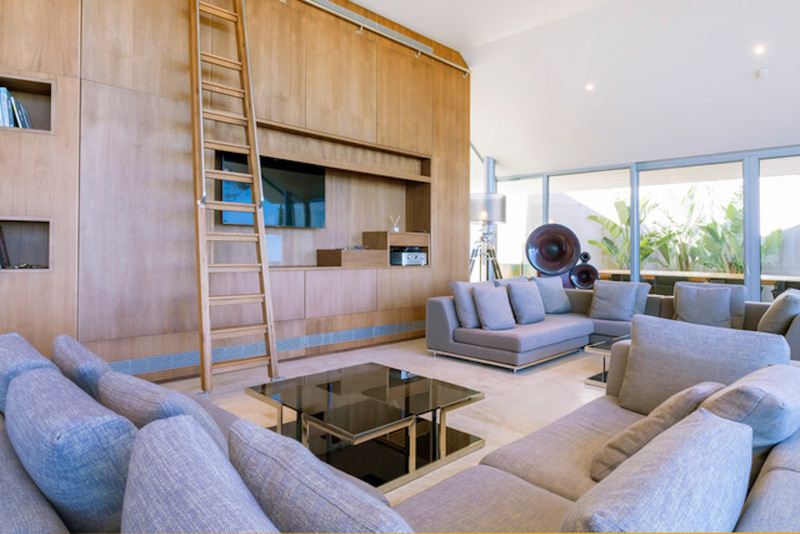 The 80 m2 open plan lounge and dining area is furnished with a huge dining table with 12 seats, the lounge area is fitted with an extra-large comfortable sofa and is fully equipped with a state of the art sound system with handmade unique Martion Orgon speakers, there is a Bowers & Wilkins sound system in the other rooms. 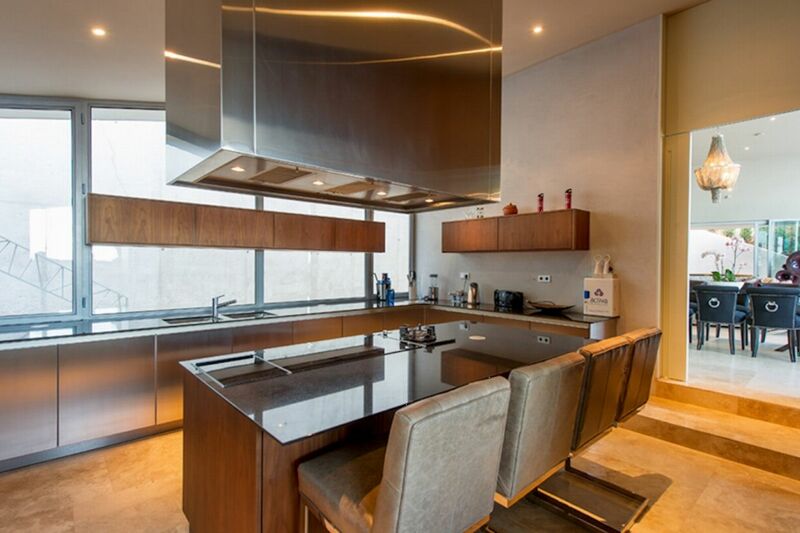 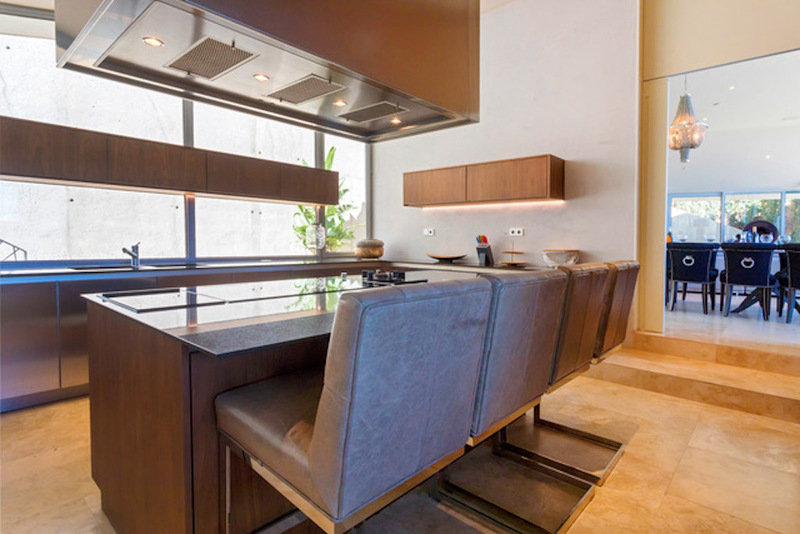 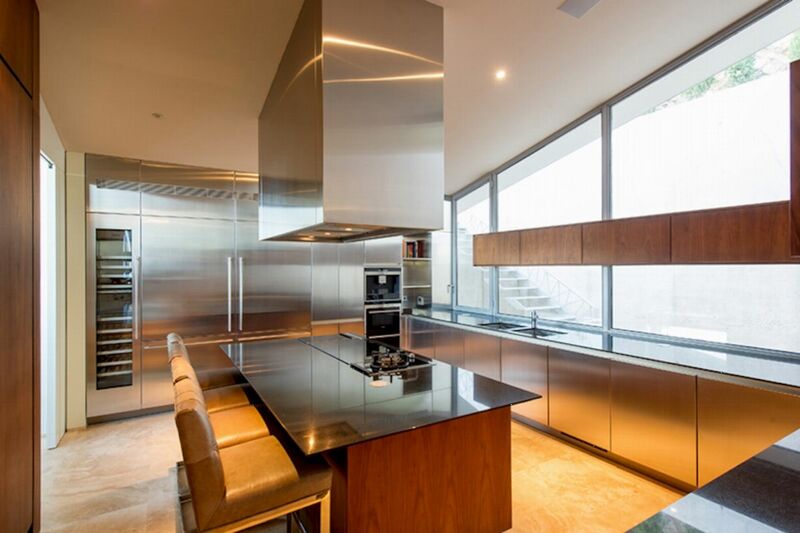 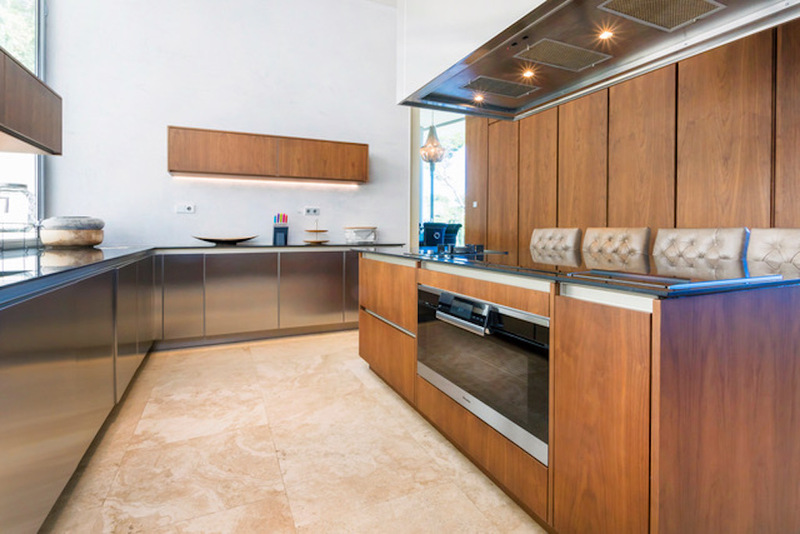 The sleek ergonomic and modern kitchen is fully equipped with high standard appliances by Gaggenau and has its own breakfast bar and wine fridge. 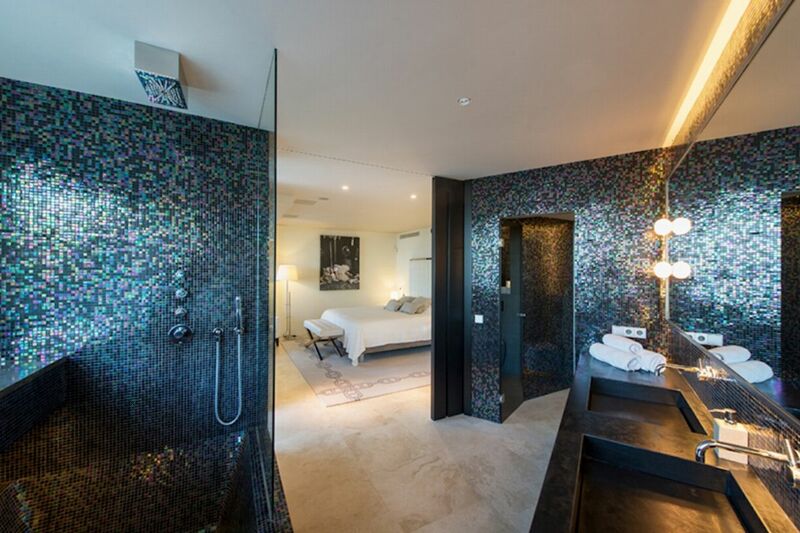 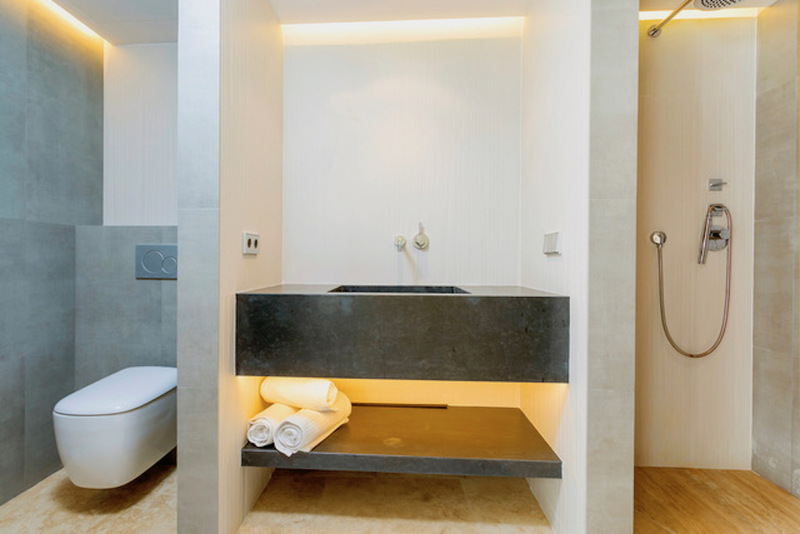 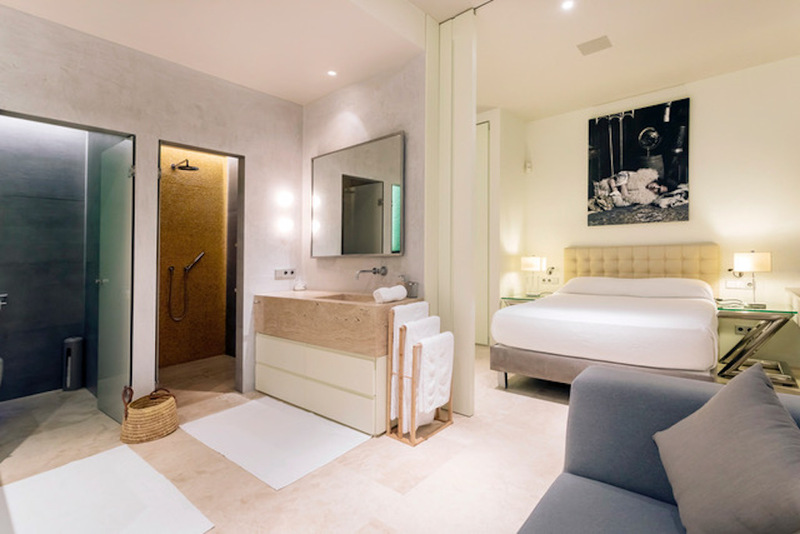 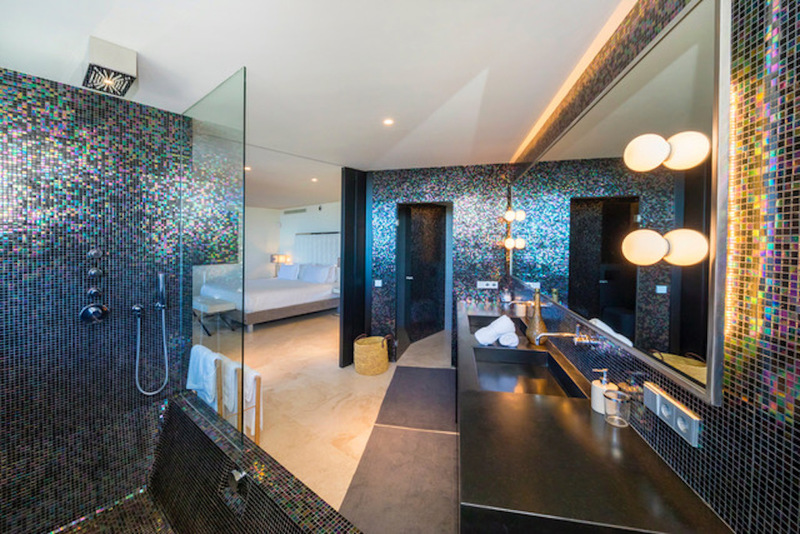 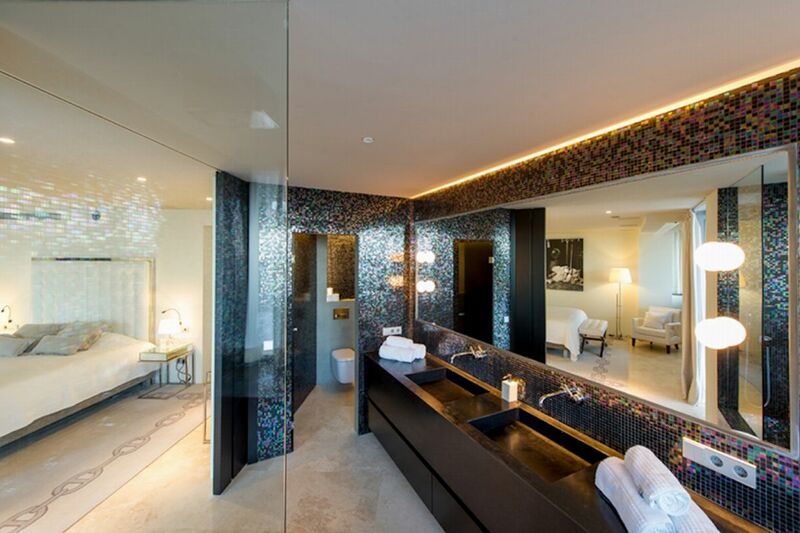 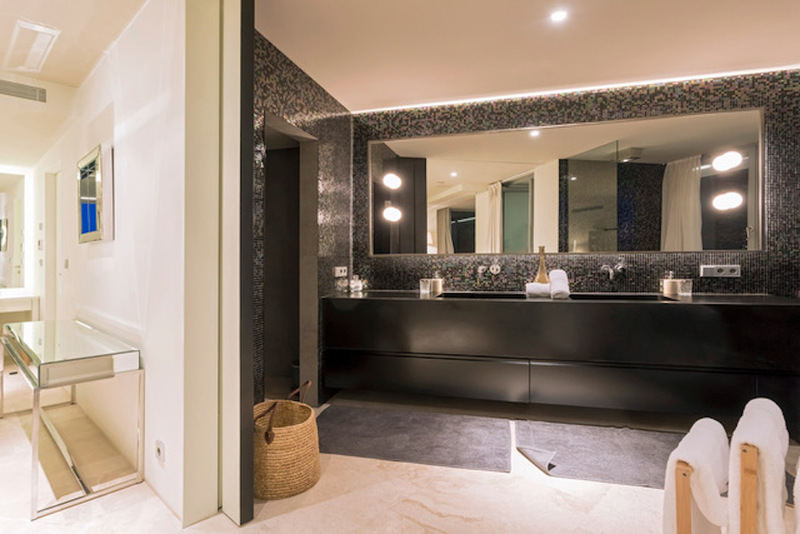 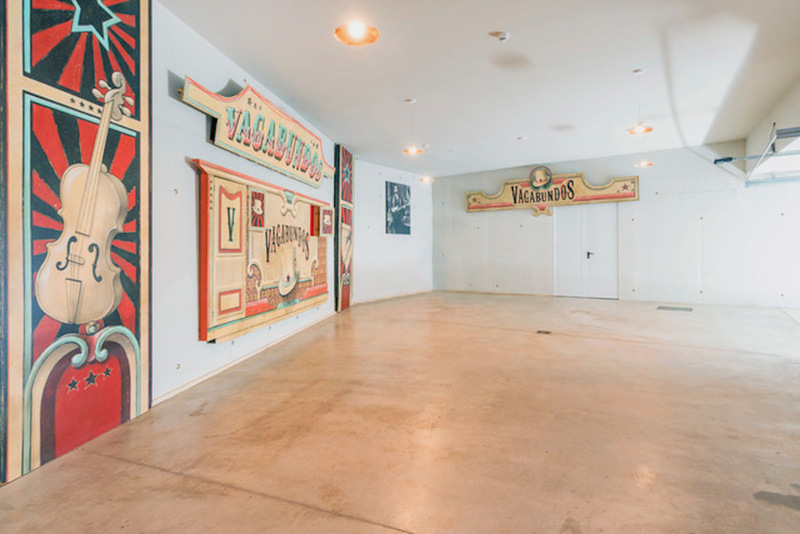 On the ï¬�rst ï¬‚oor you will ï¬�nd the spa equipped with a Hammam, bath, shower and sauna cabin, or you could entertain your guests with the home theatre system. 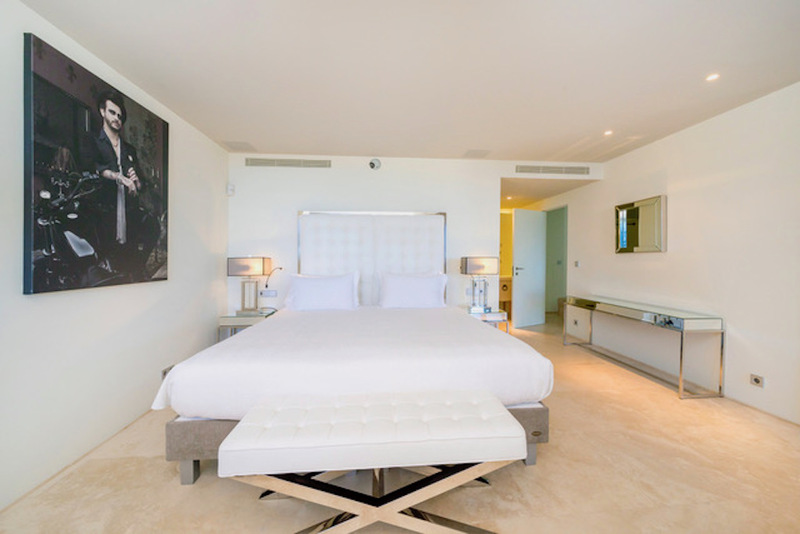 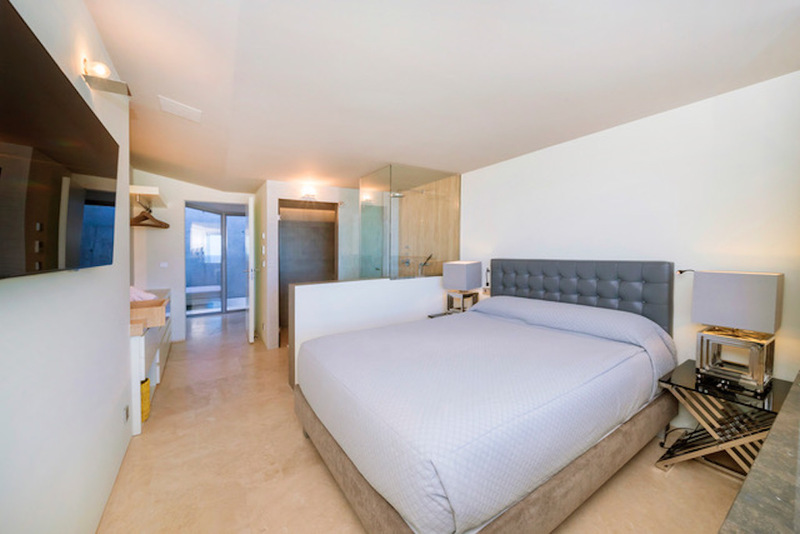 Master suite, king size bed, air conditioning, en-suite bathroom with shower/ Jacuzzi bath combo, walk-in closet, terrace and pool access. 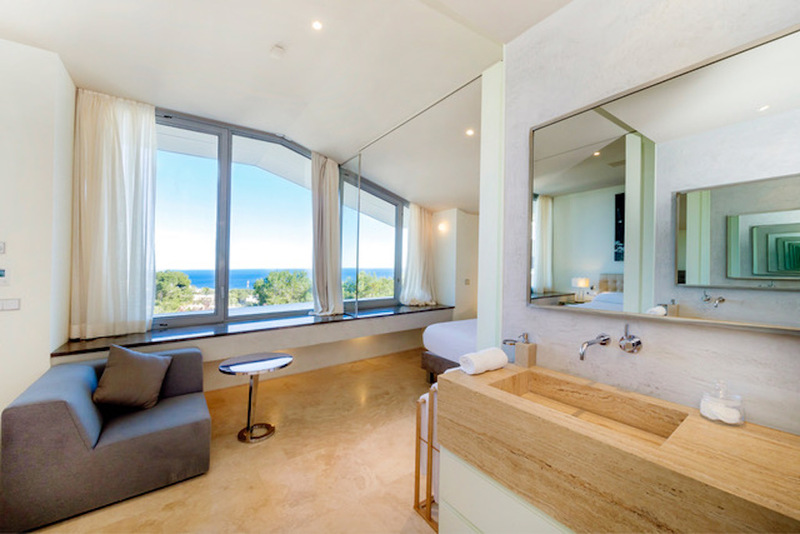 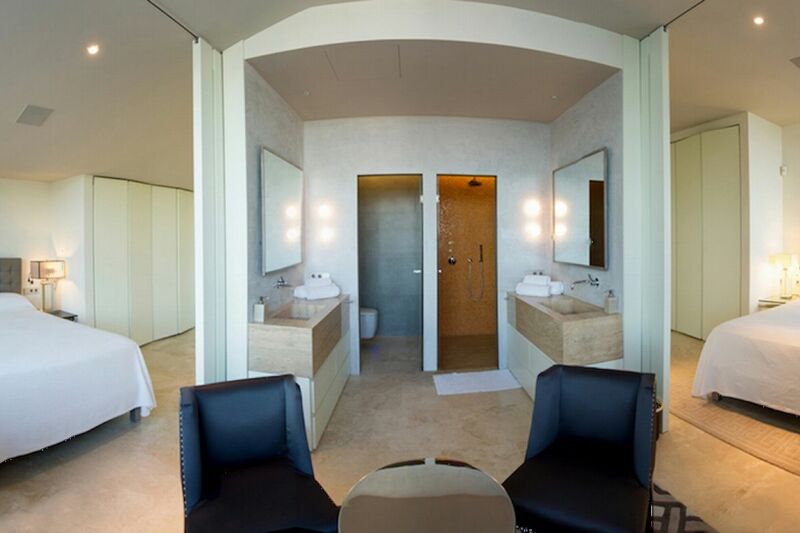 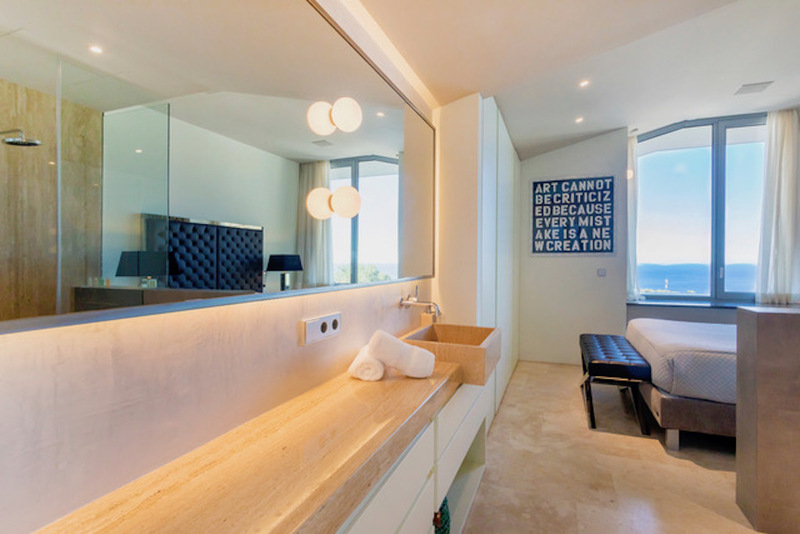 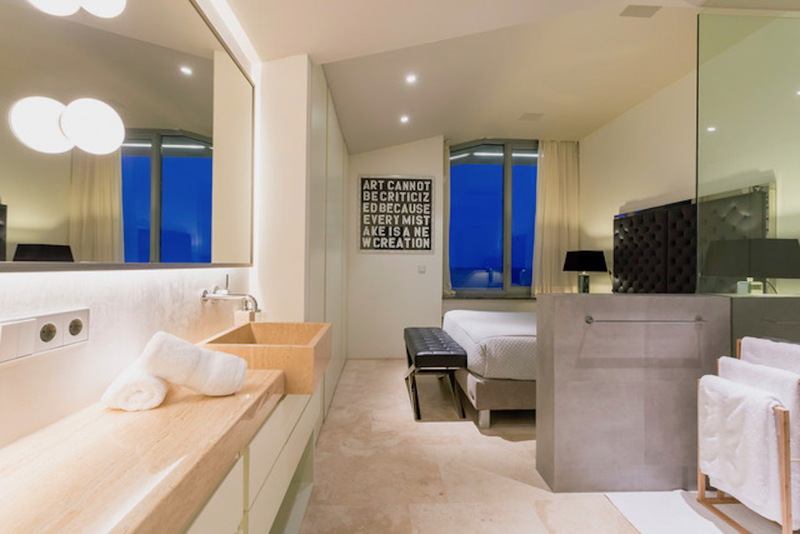 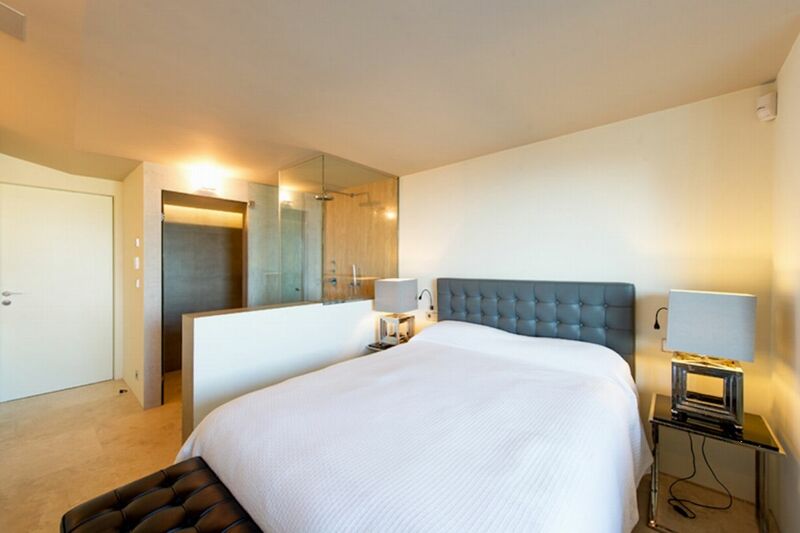 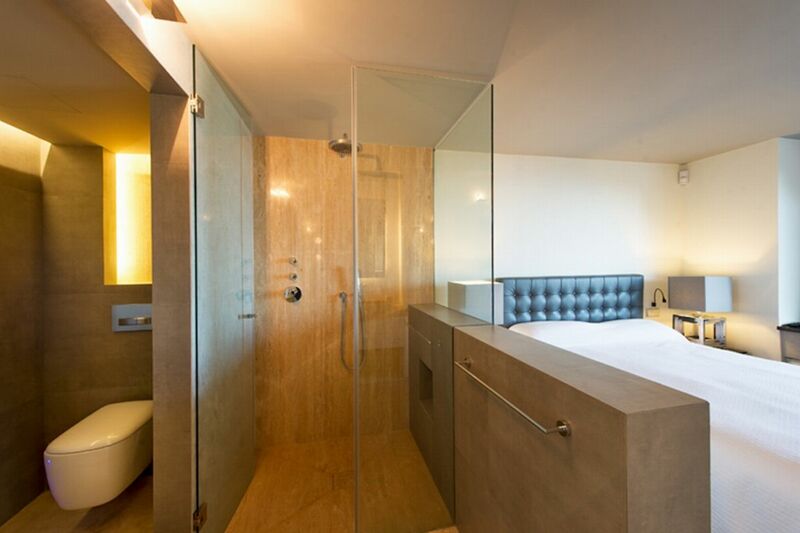 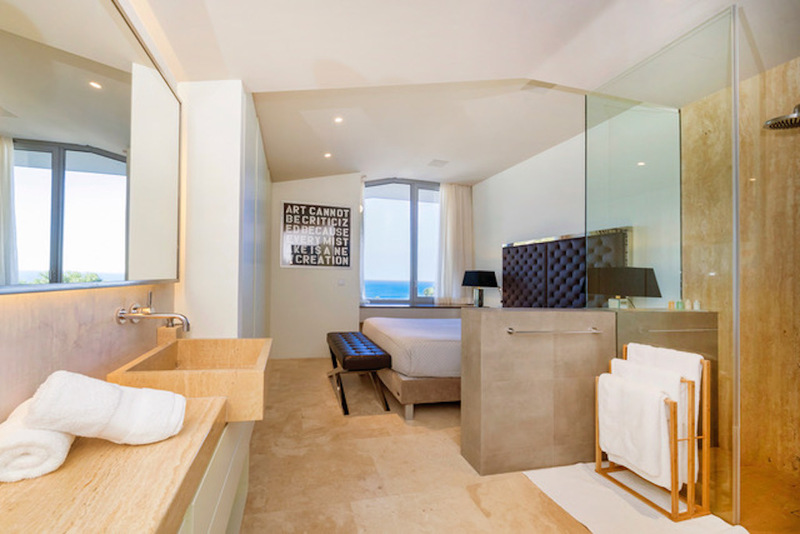 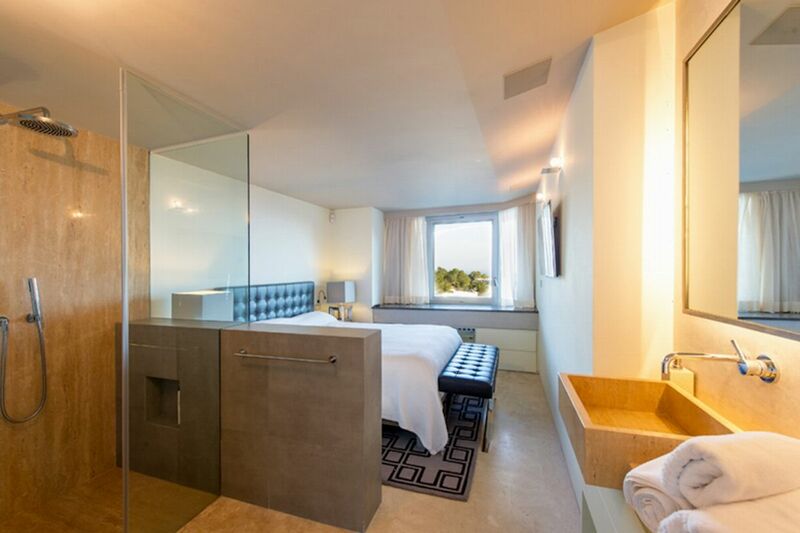 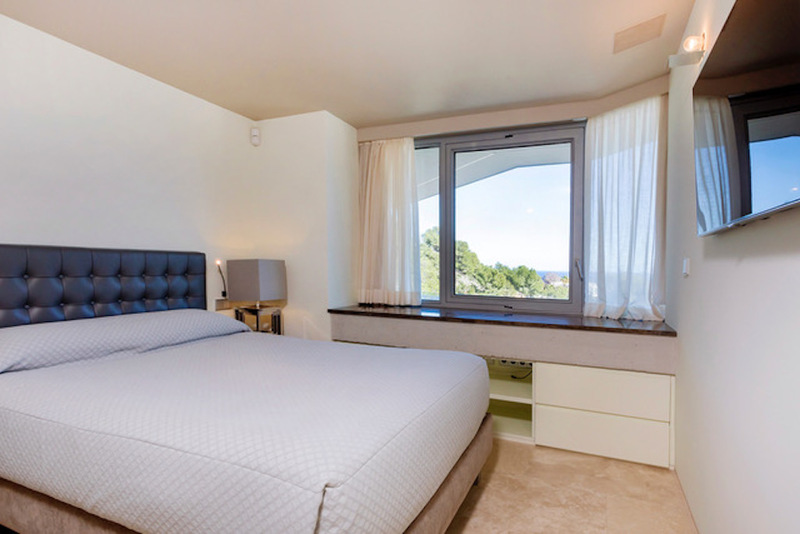 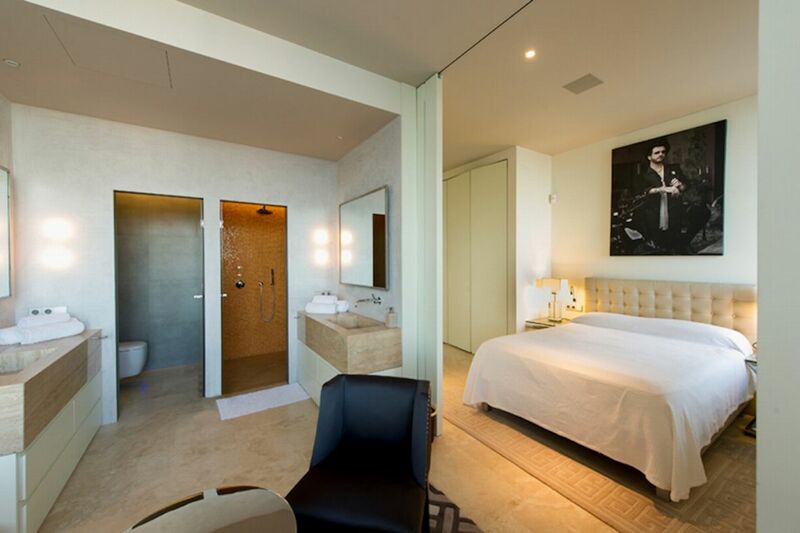 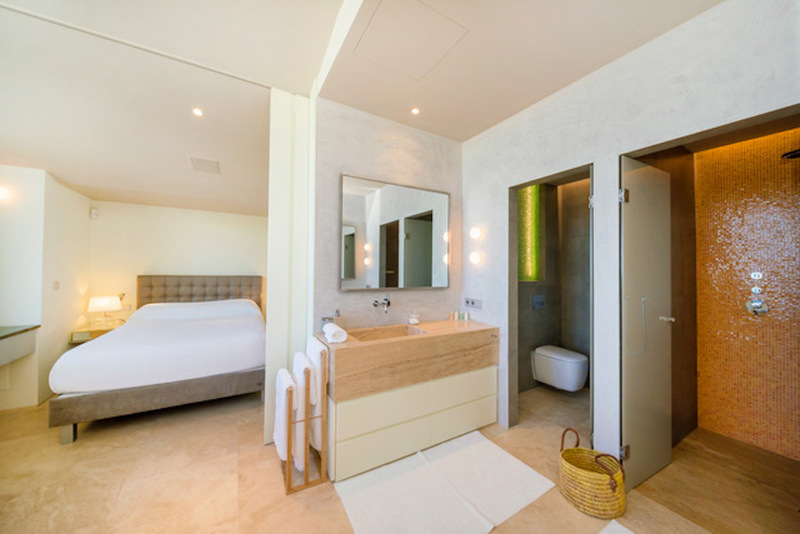 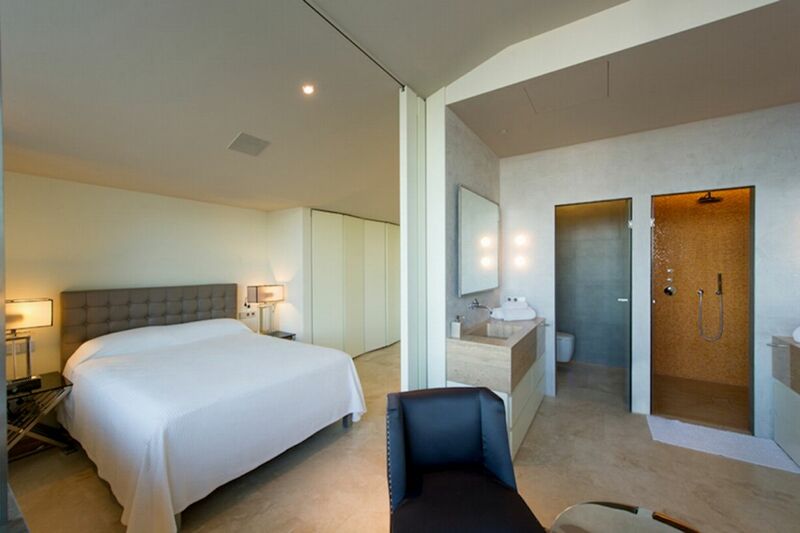 Double bed, air conditioning, en- suite bathroom, amazing panoramic views. 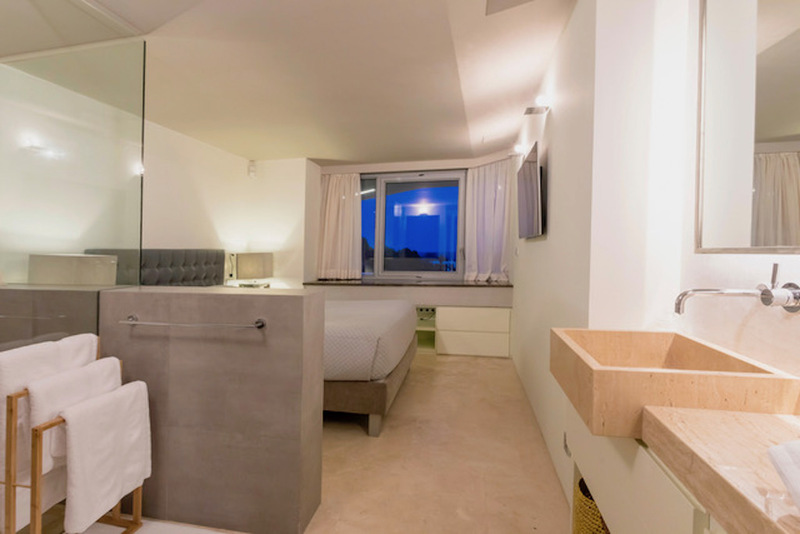 Double bed, air conditioning, shared bathroom and connected lounge with bedroom 5. 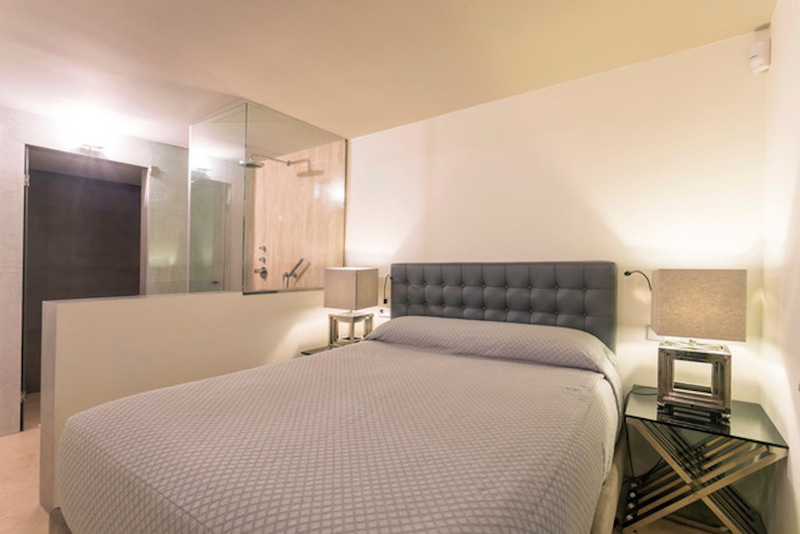 Double bed, air conditioning, shared bathroom and connected lounge with bedroom 4. 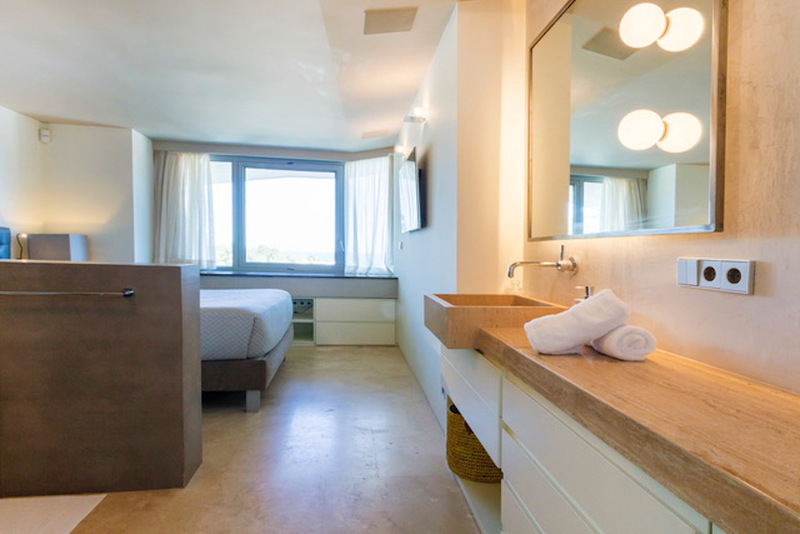 Double bed, en-suite bathroom, air conditioning and kitchenette.